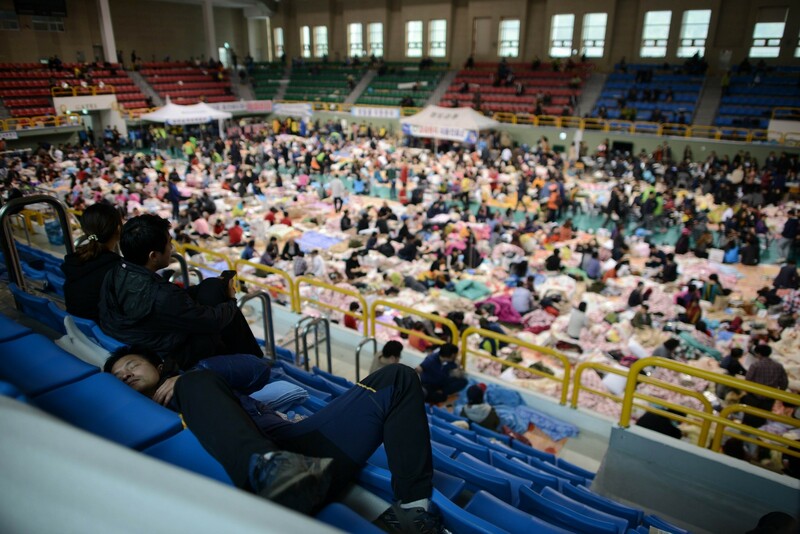 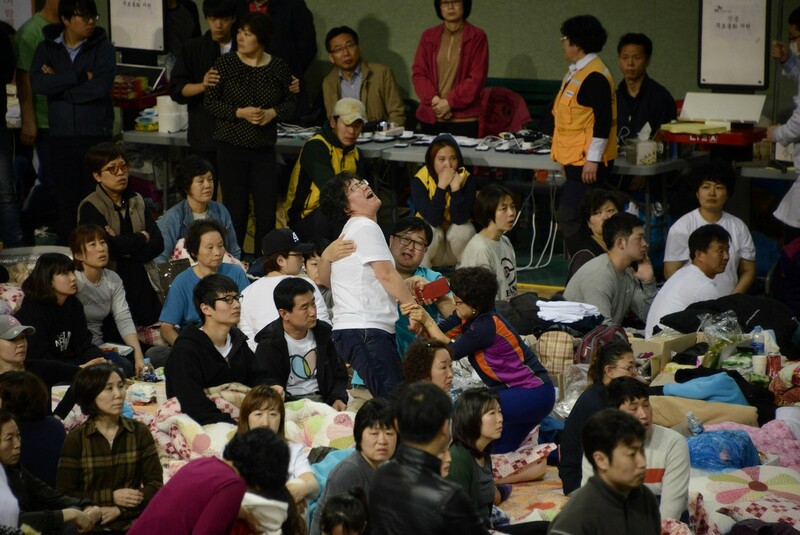 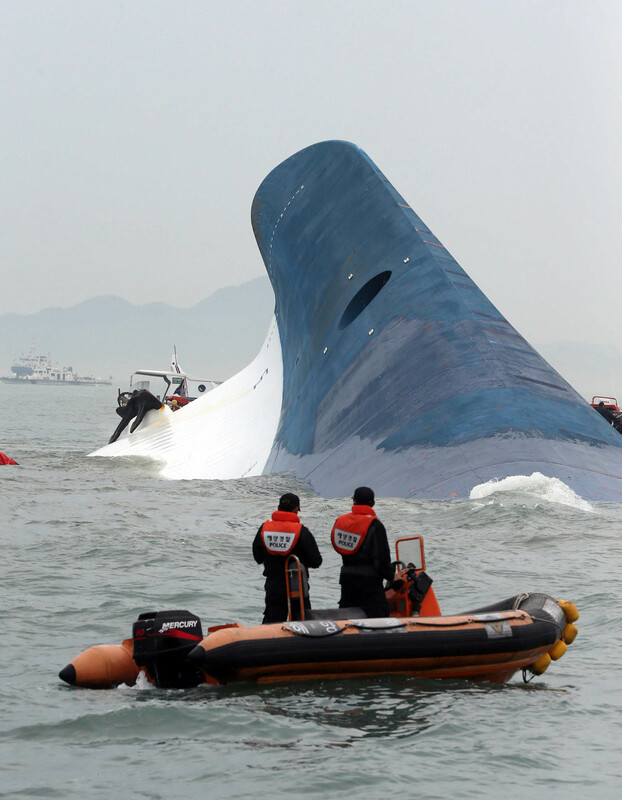 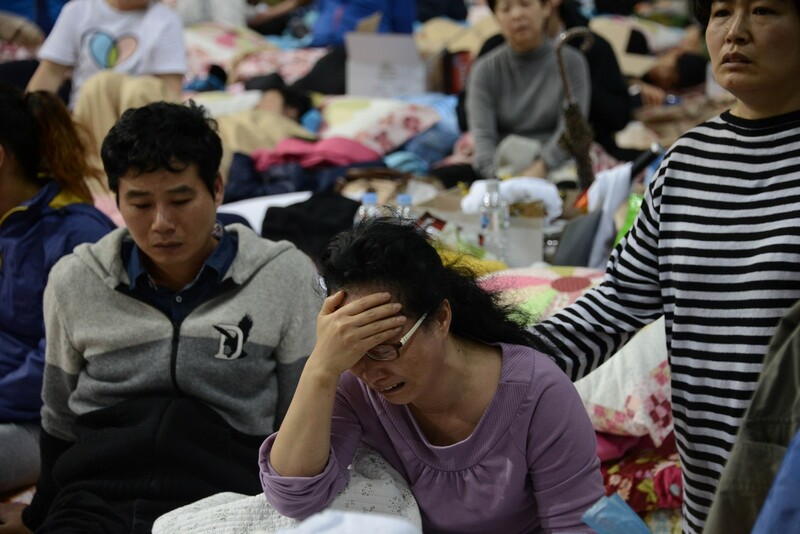 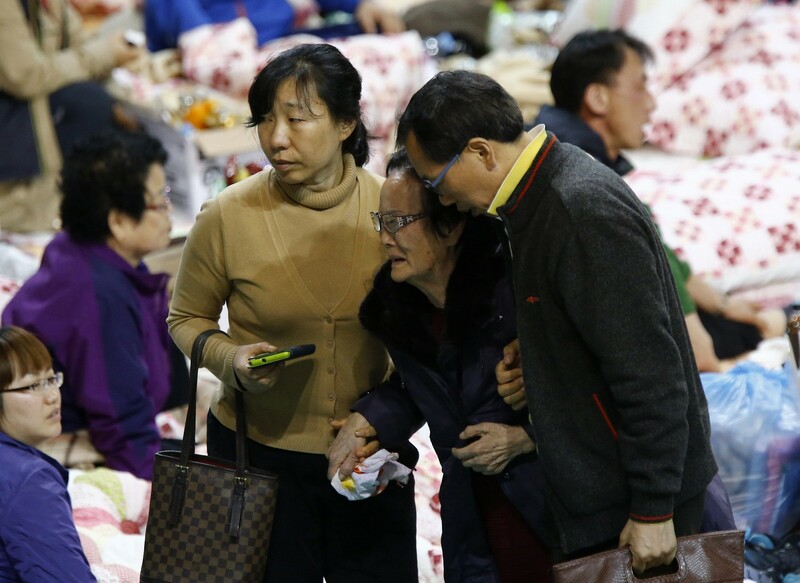 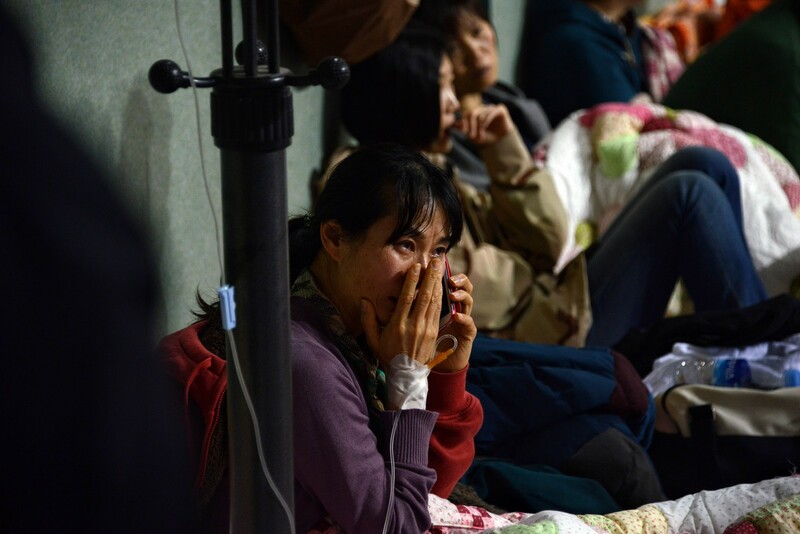 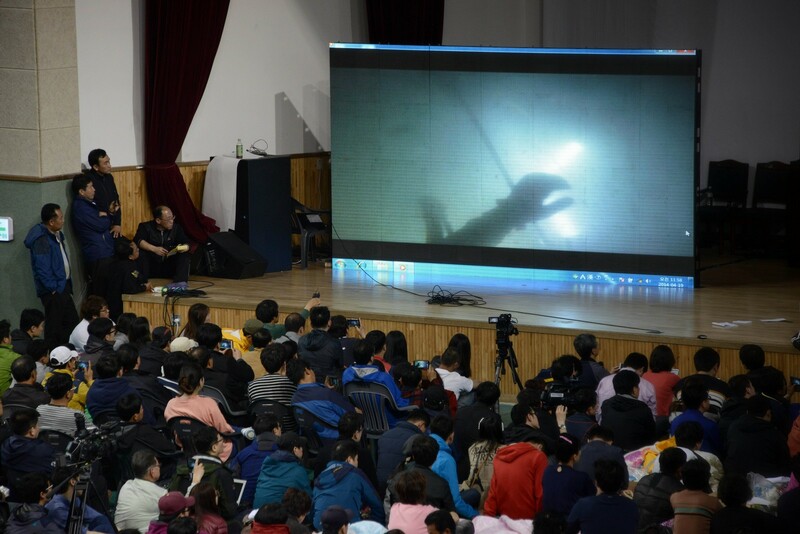 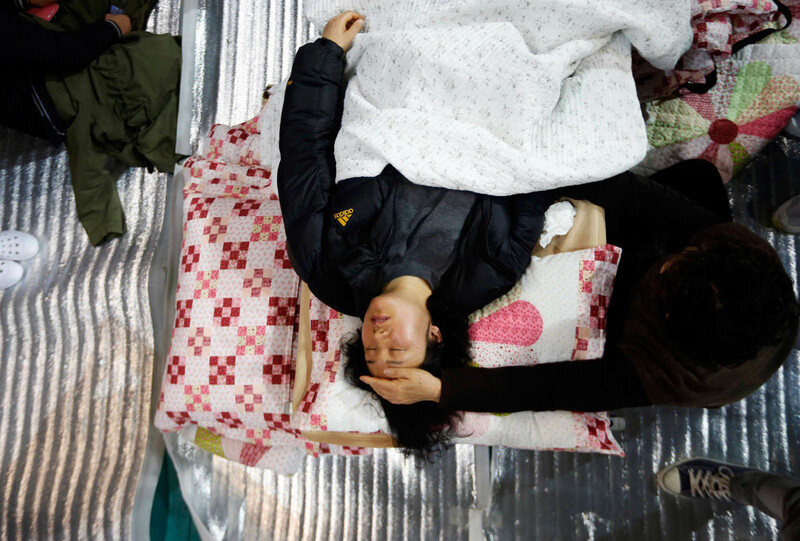 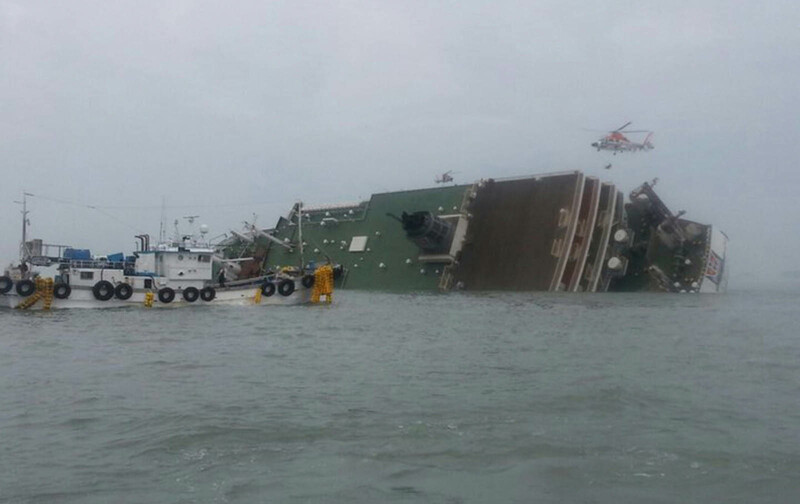 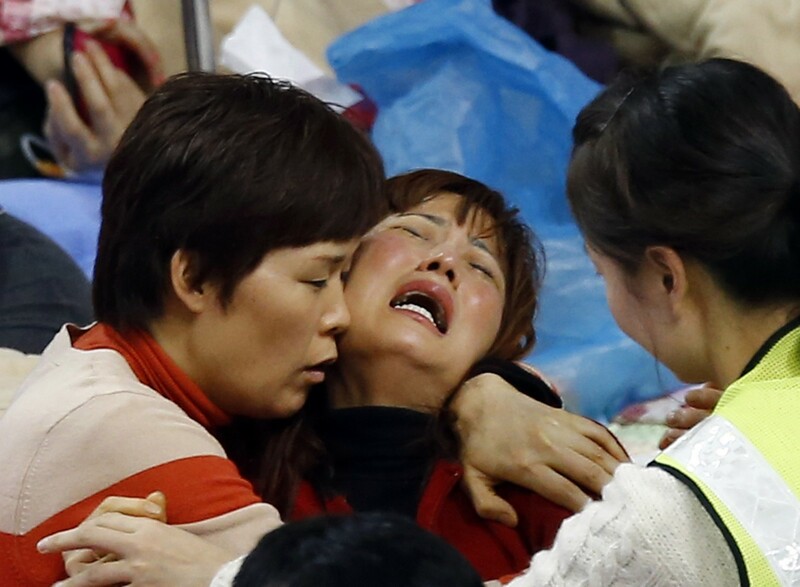 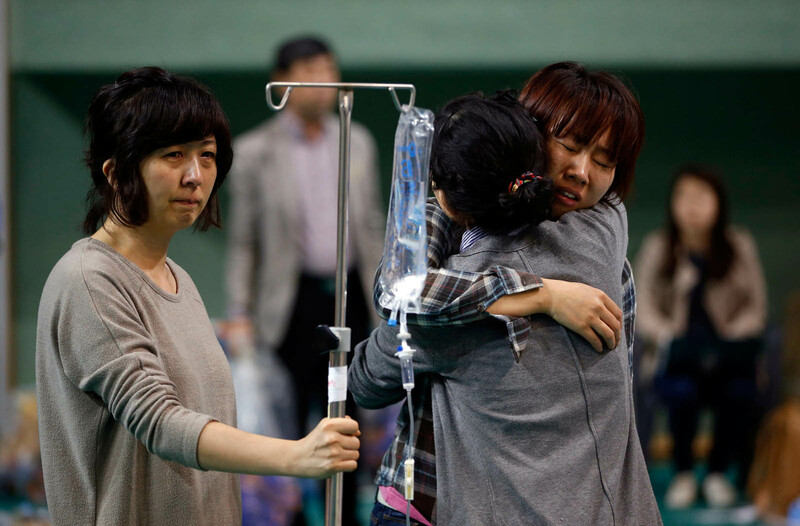 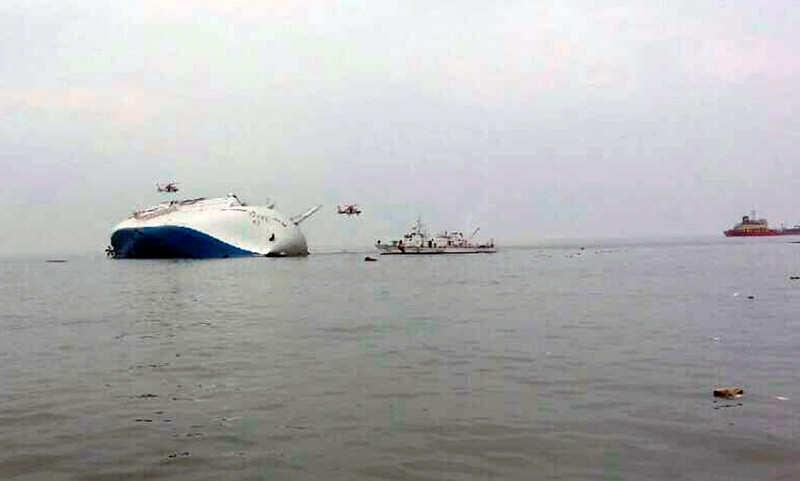 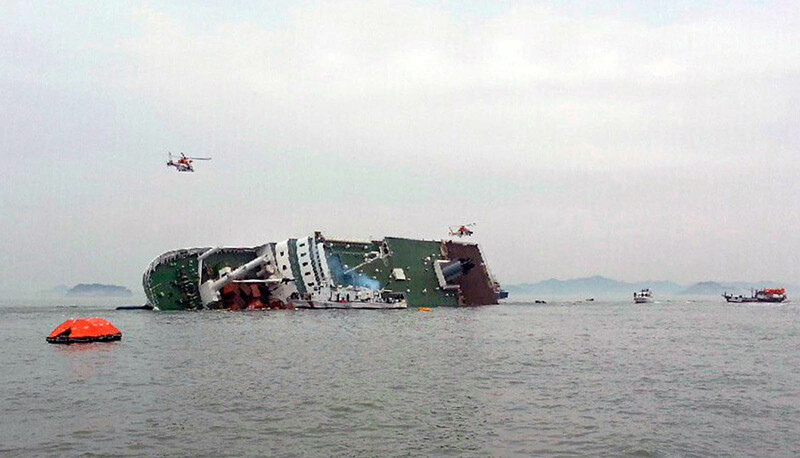 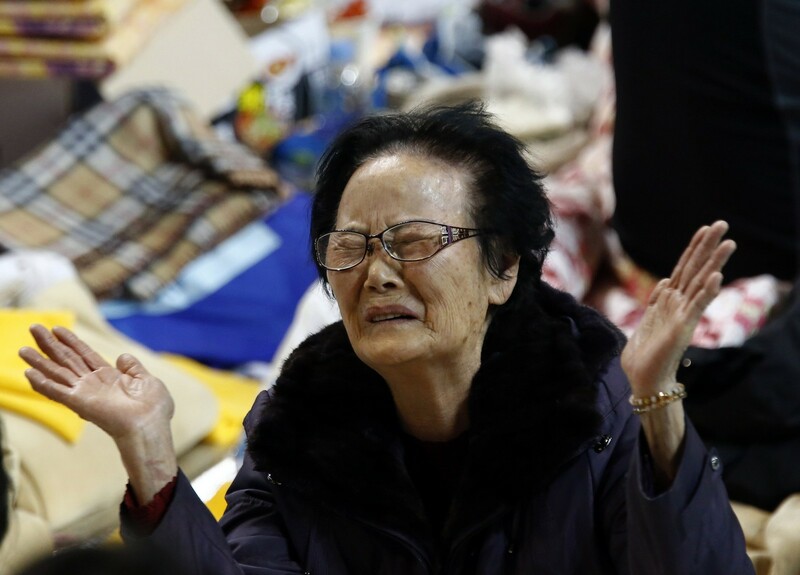 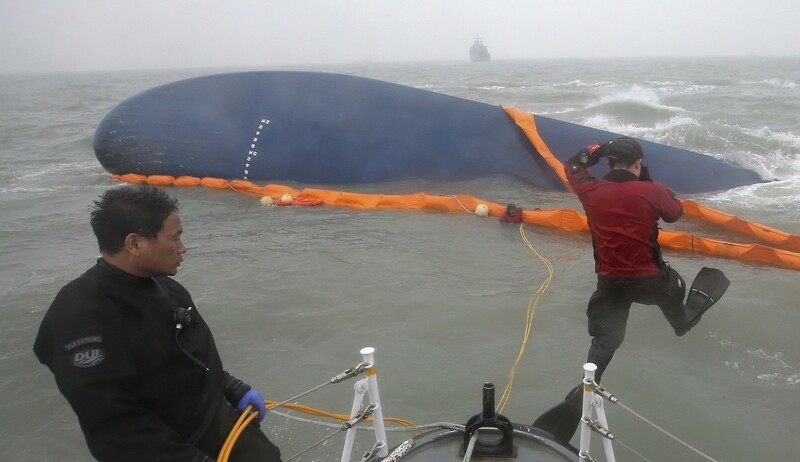 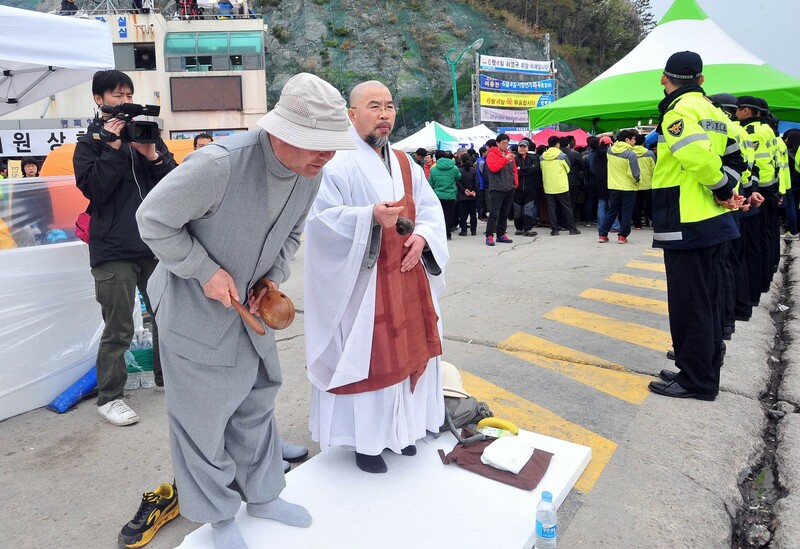 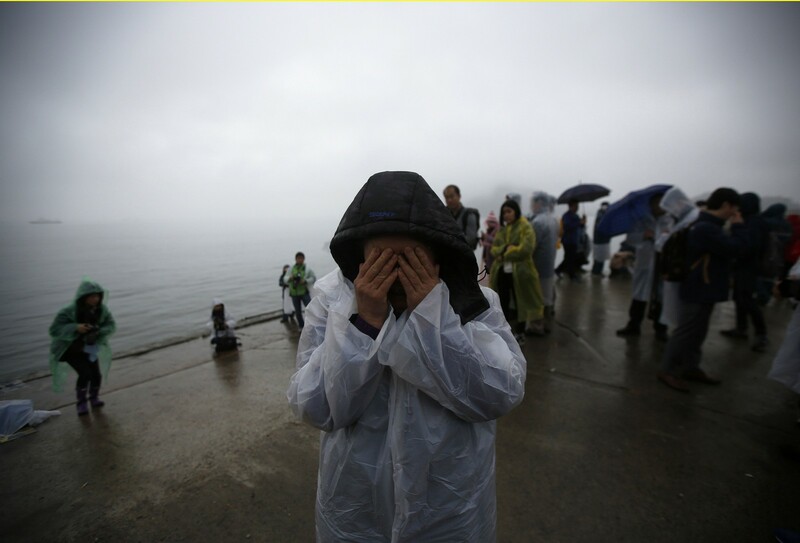 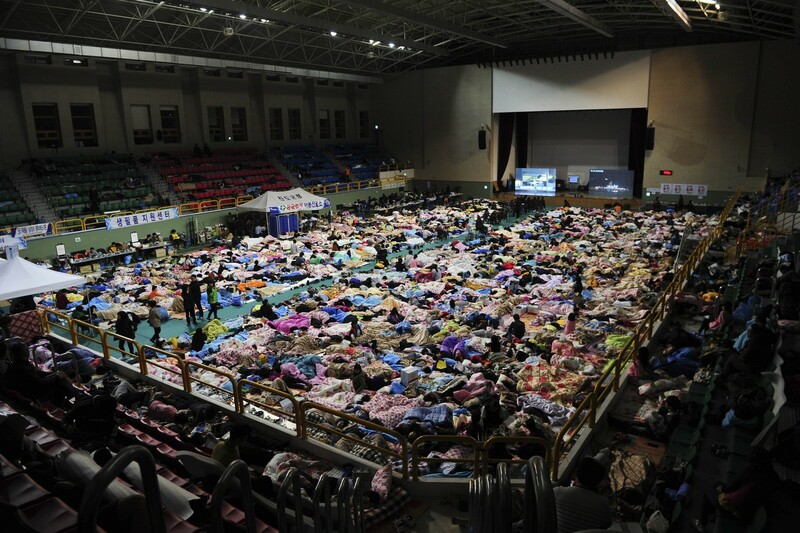 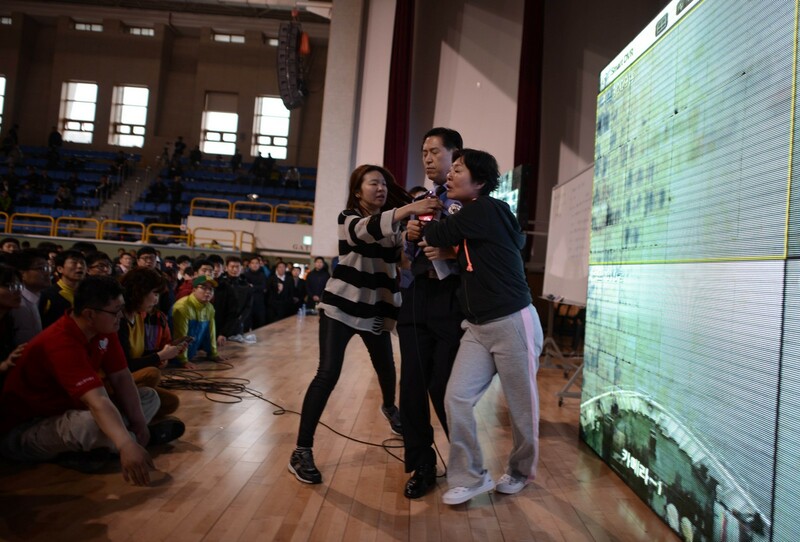 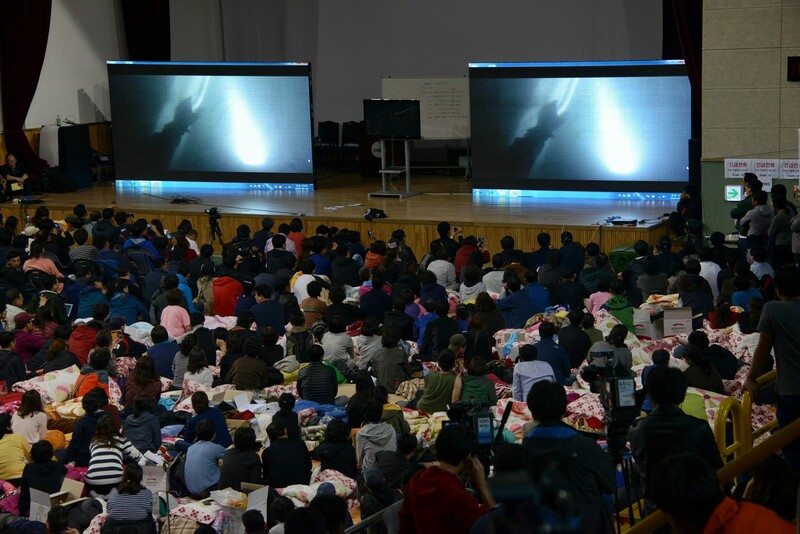 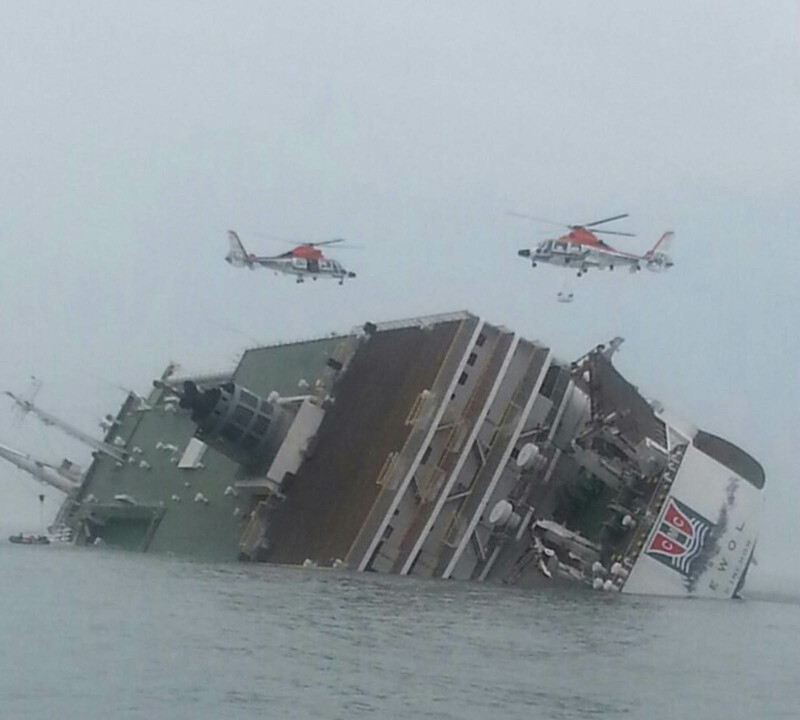 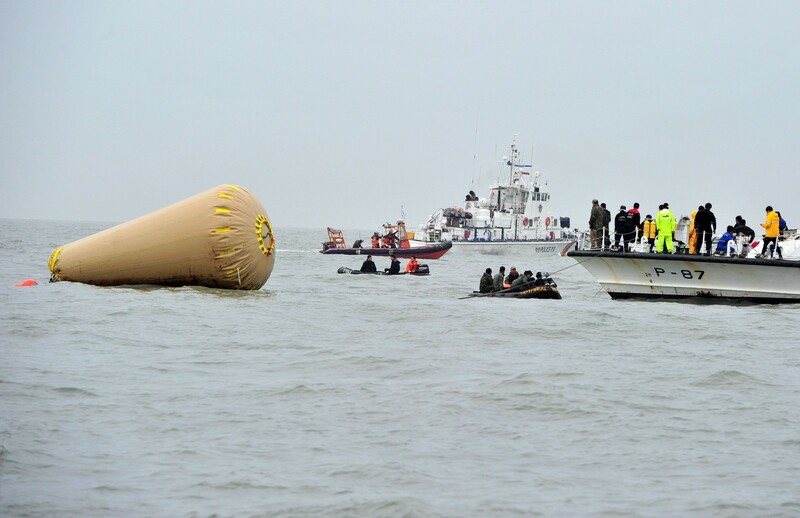 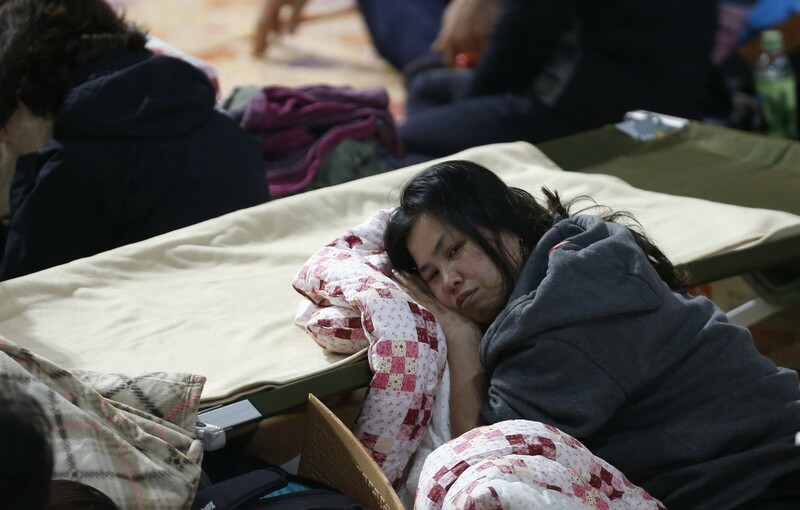 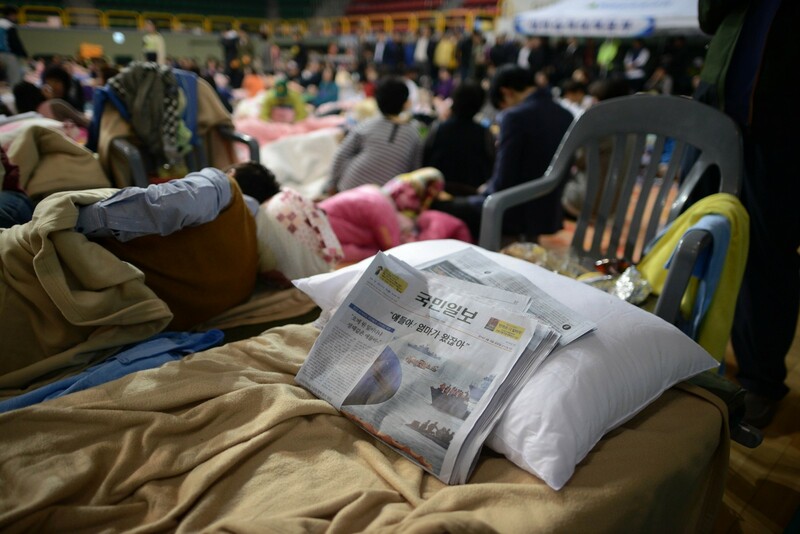 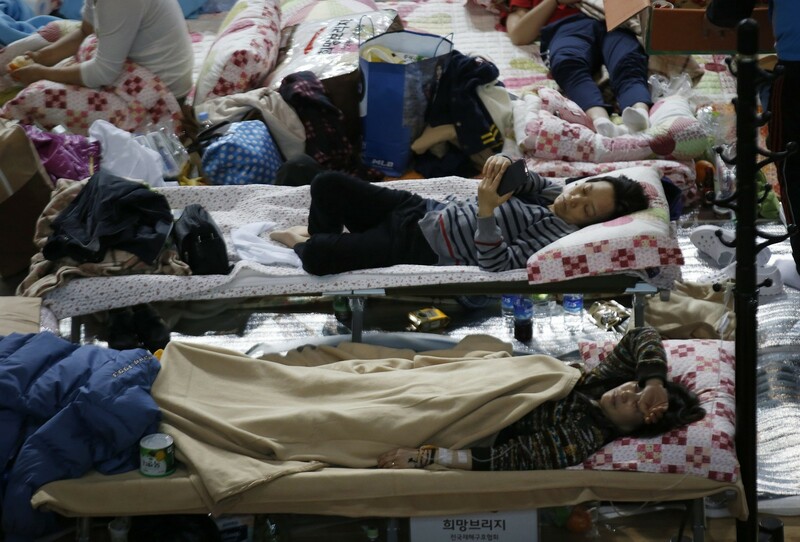 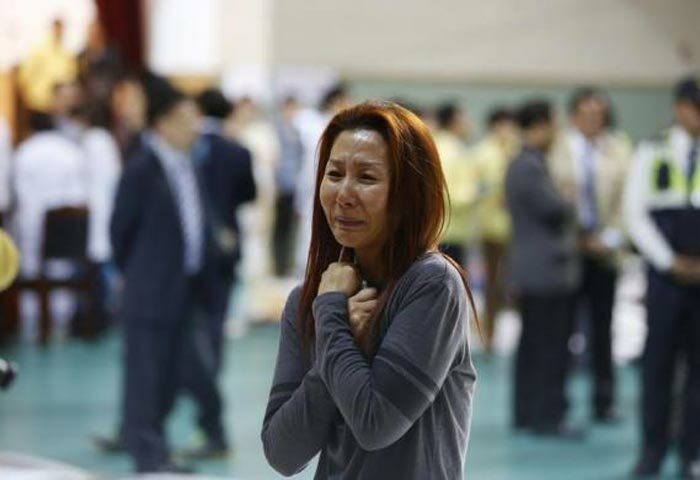 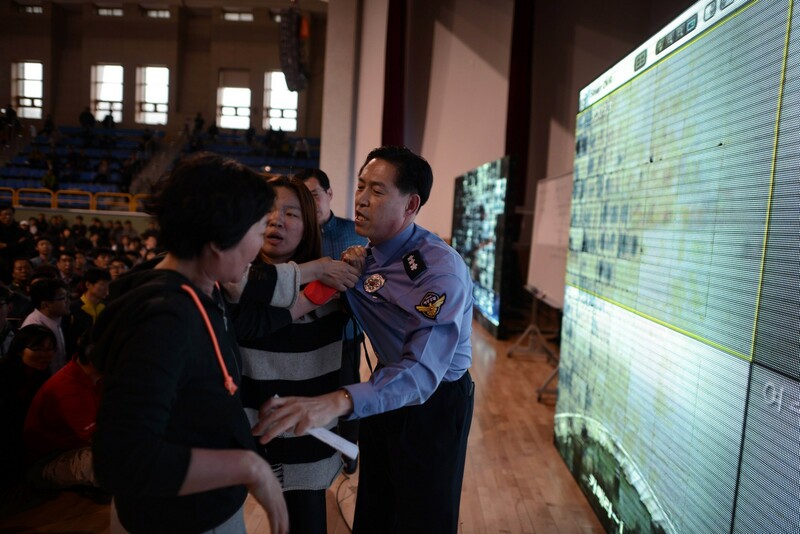 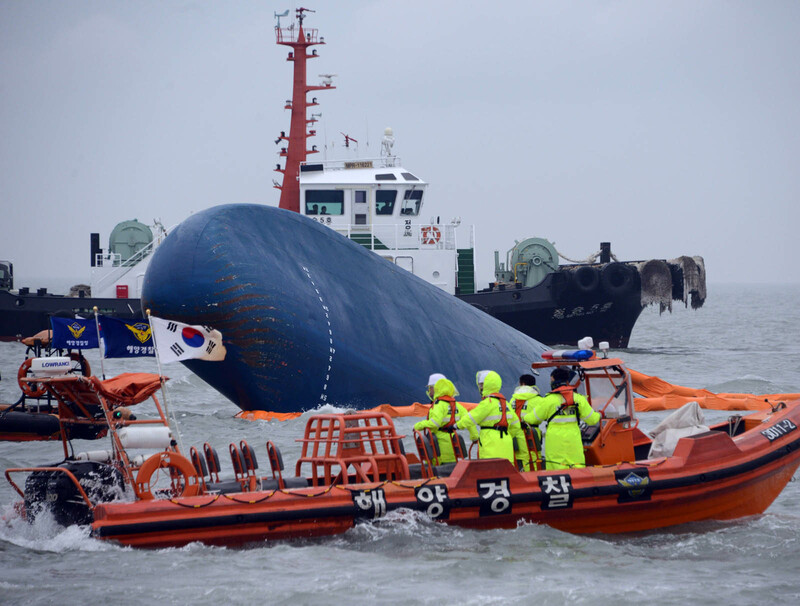 Investigators intensified their probe on Tuesday into what caused the ferry Sewol to list and capsize and arrested more crew members allegedly responsible for the tragic accident. 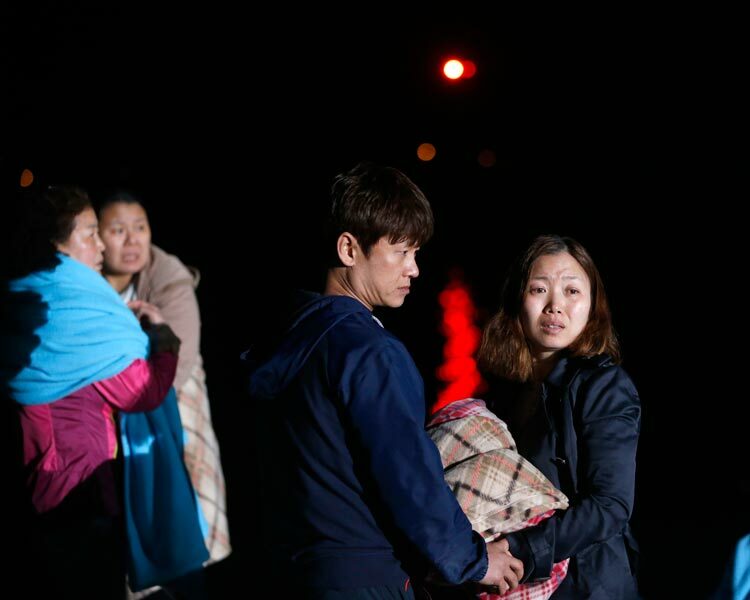 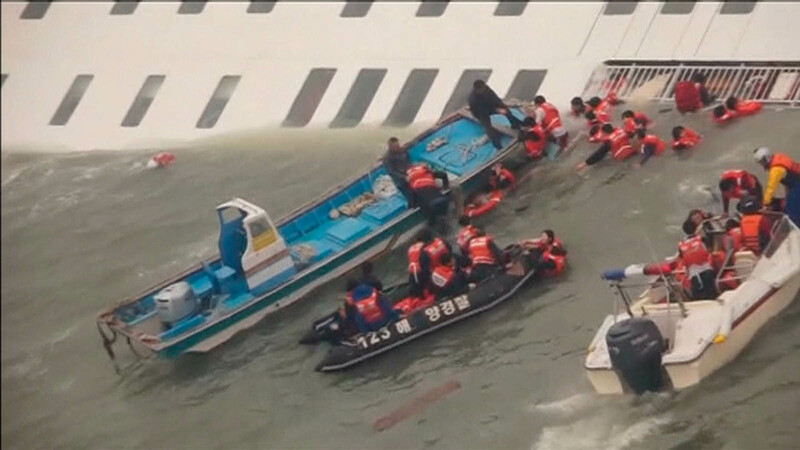 Four crew members were issued arrest warrants on Tuesday evening on charges of neglect of duty and leaving hundreds of passengers trapped inside the sinking ship. 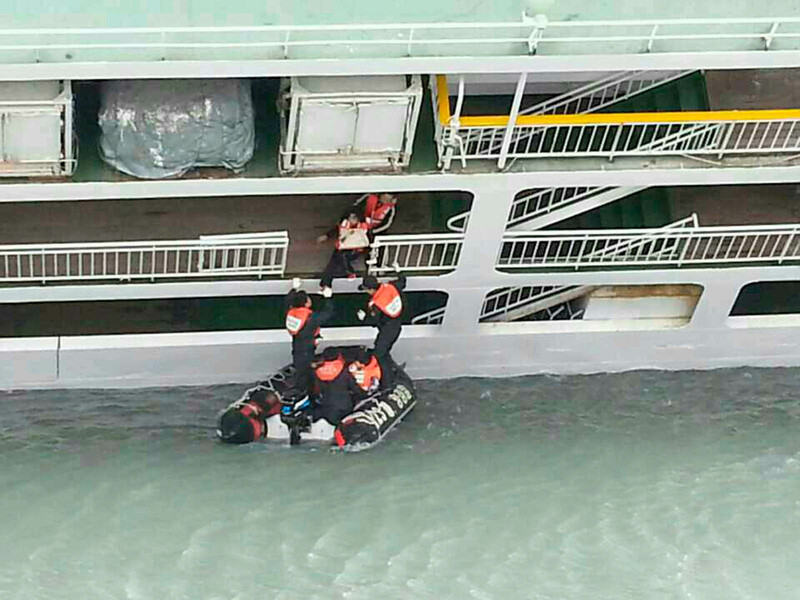 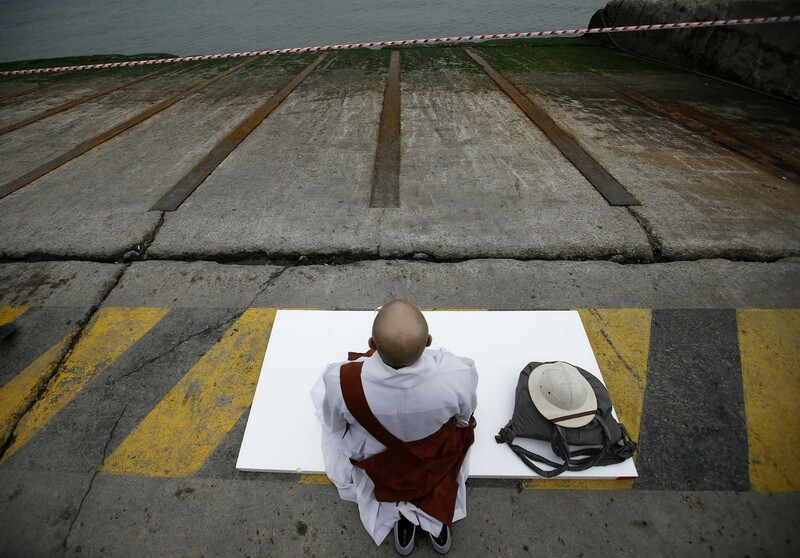 The number of arrests has now reached a total of seven, including the ship's 69-year-old captain, Lee Joon-seok, and two others who were arrested on Saturday. 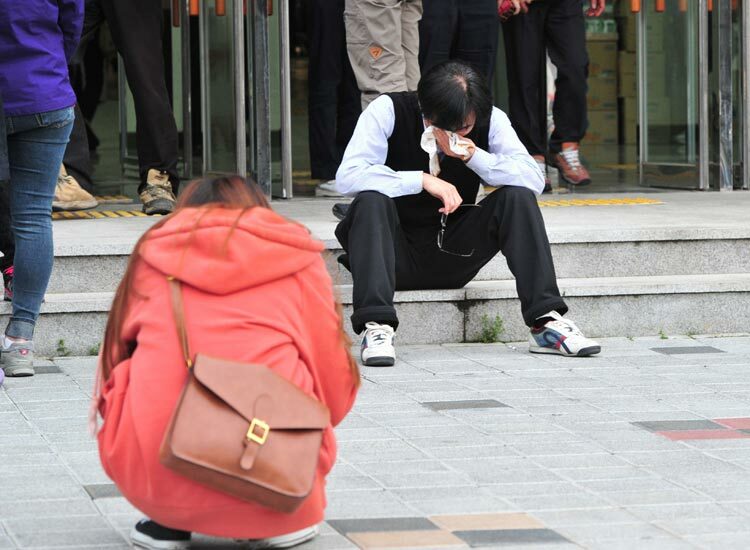 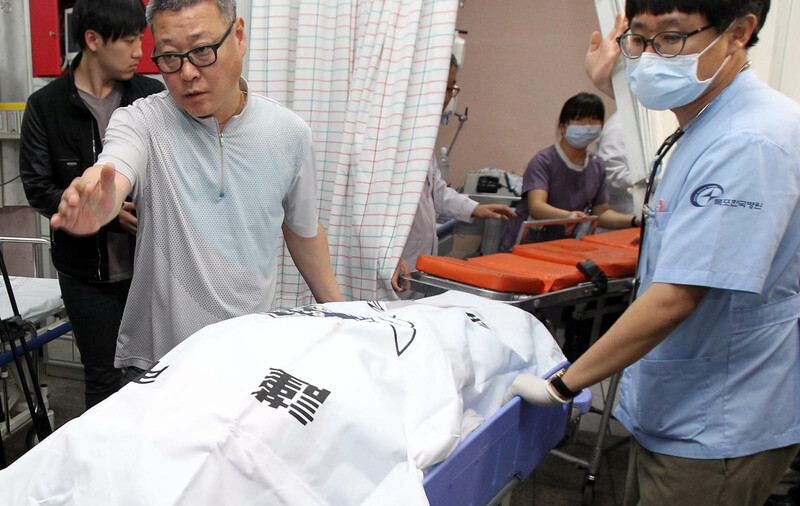 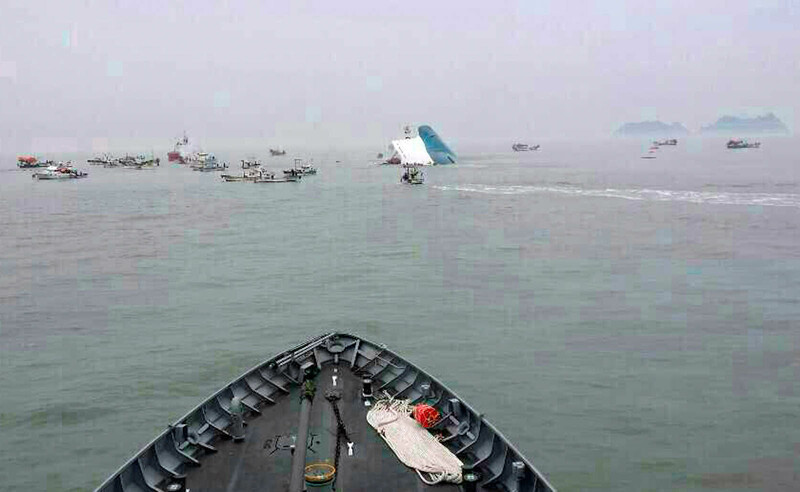 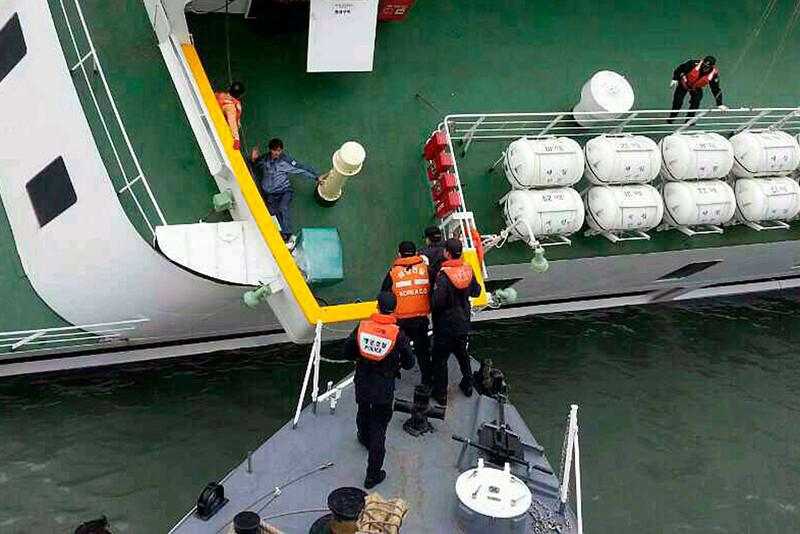 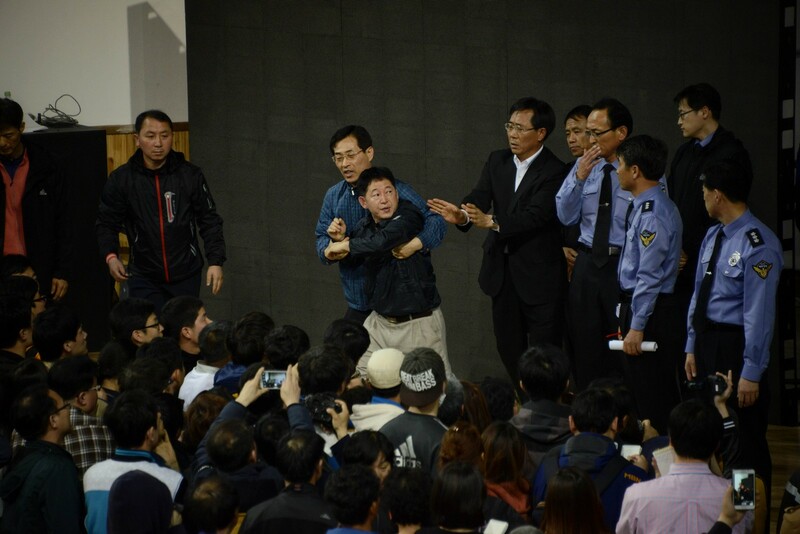 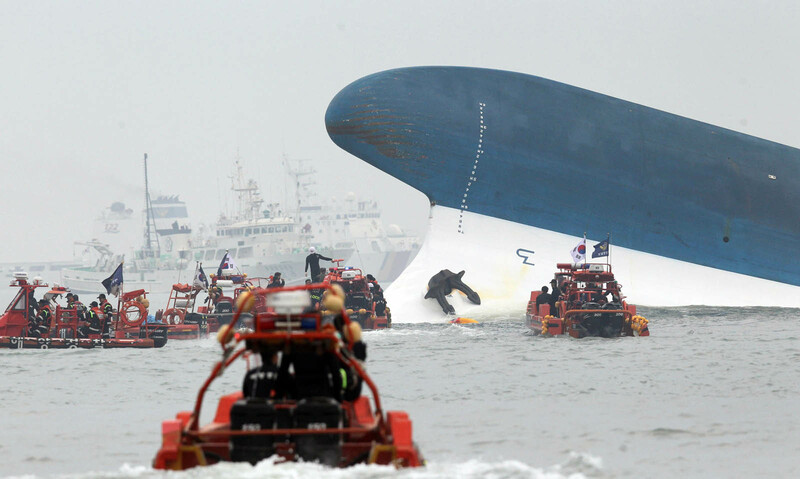 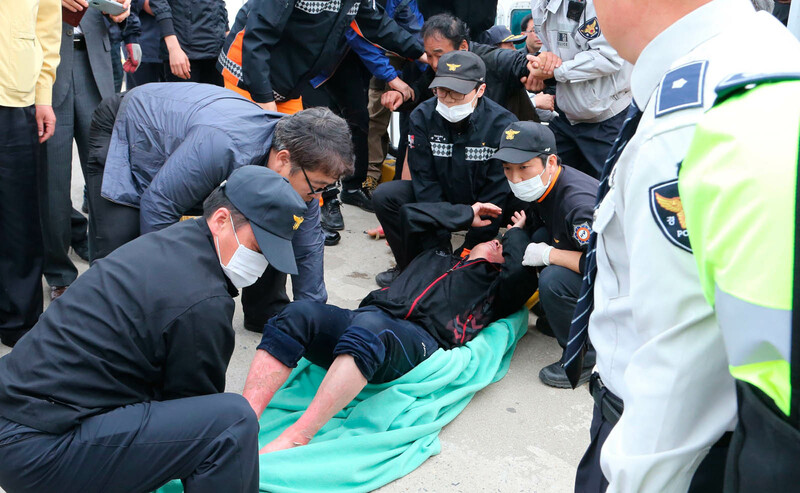 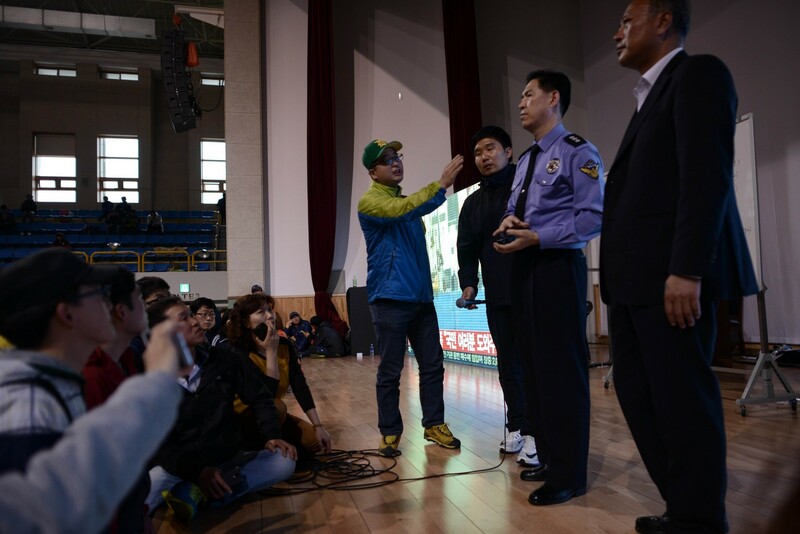 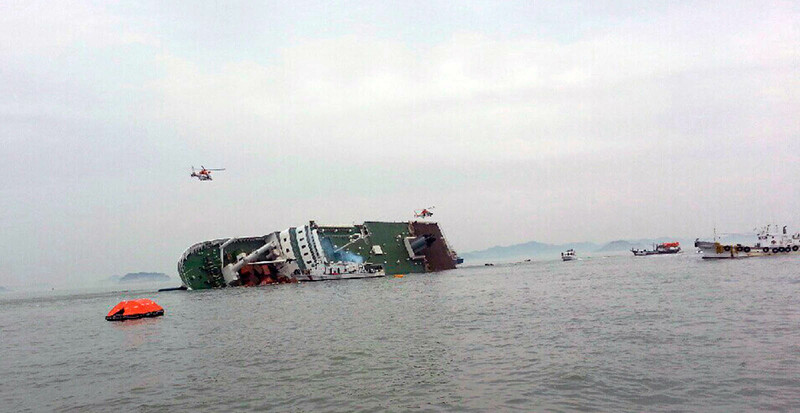 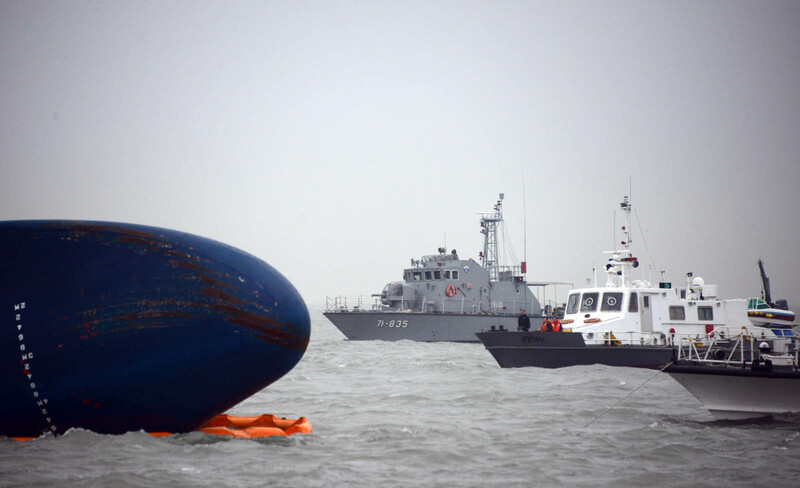 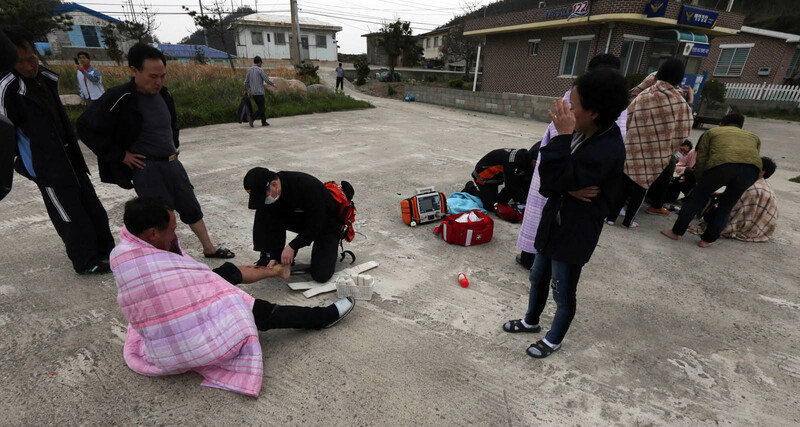 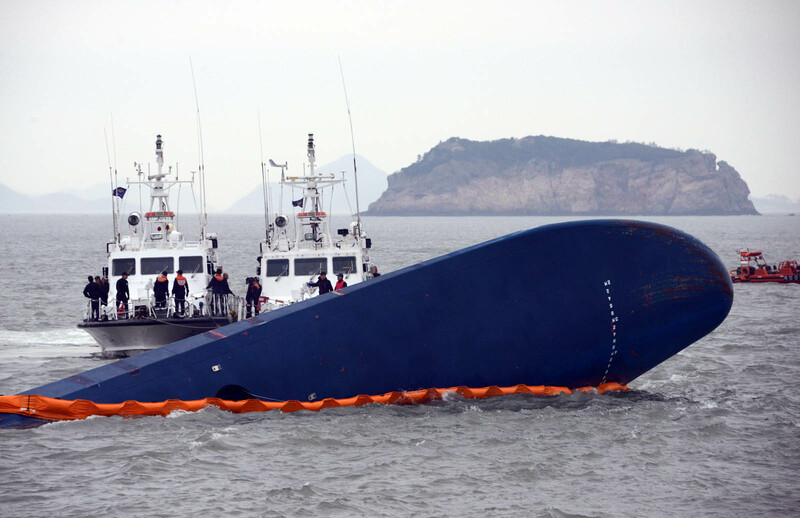 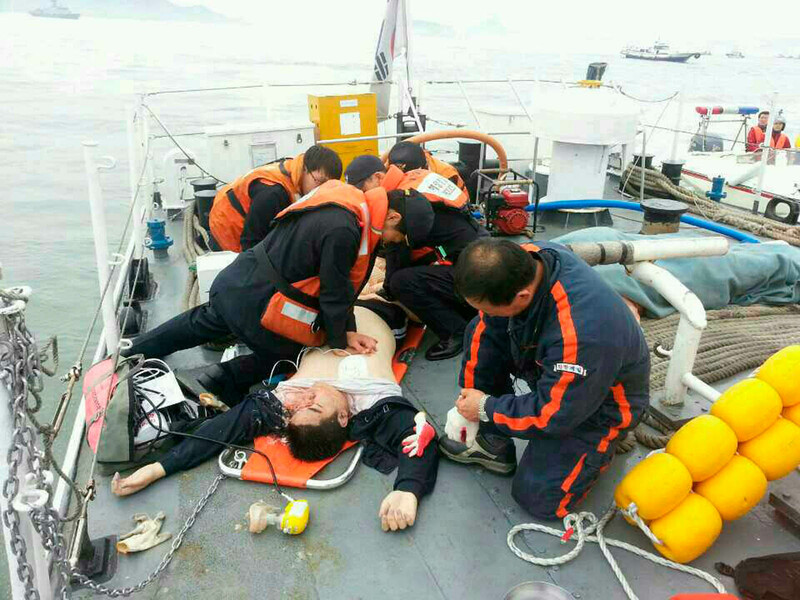 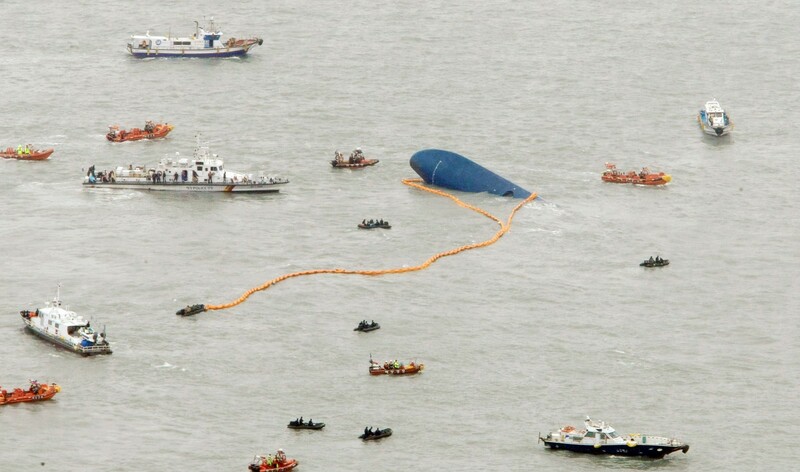 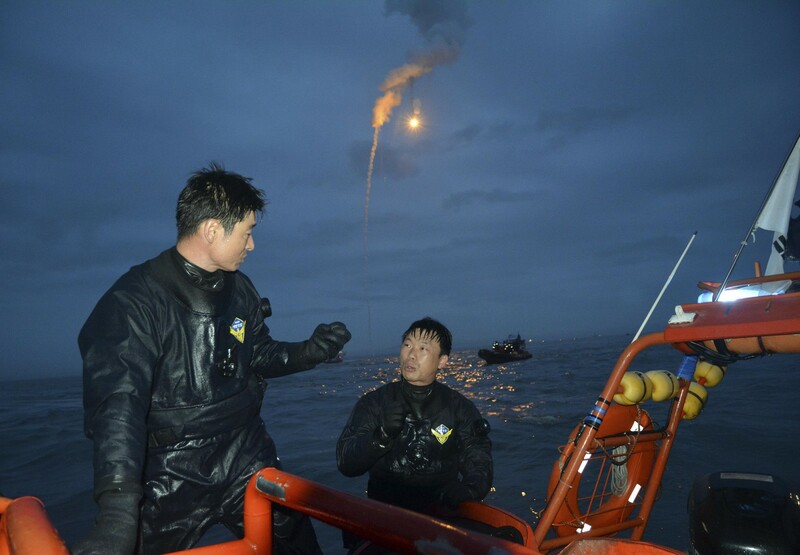 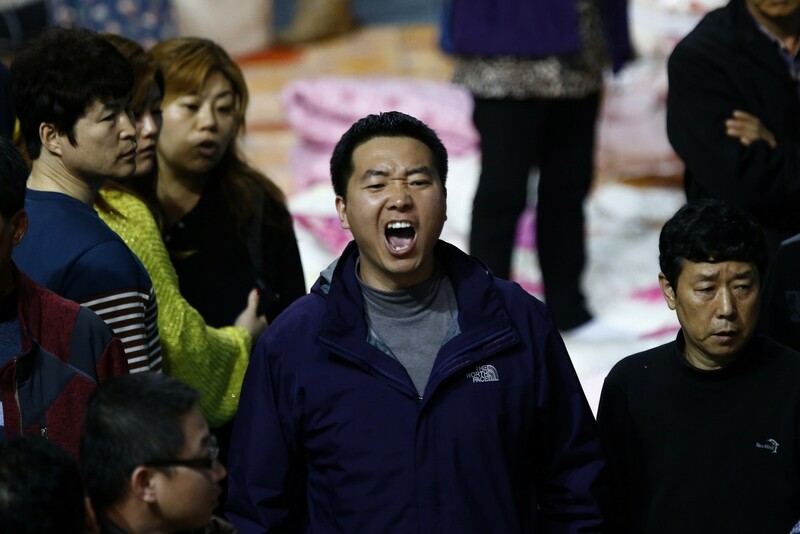 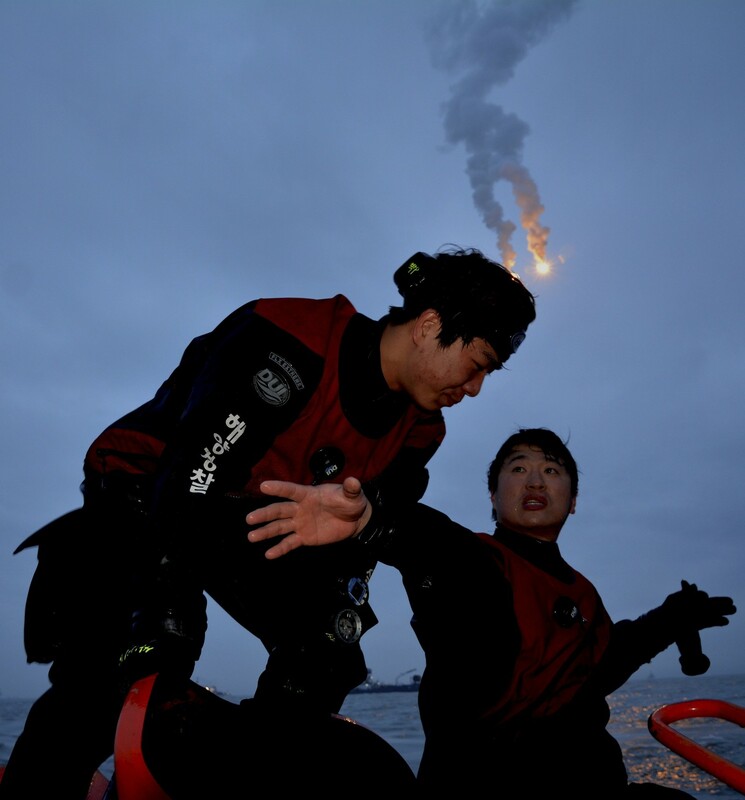 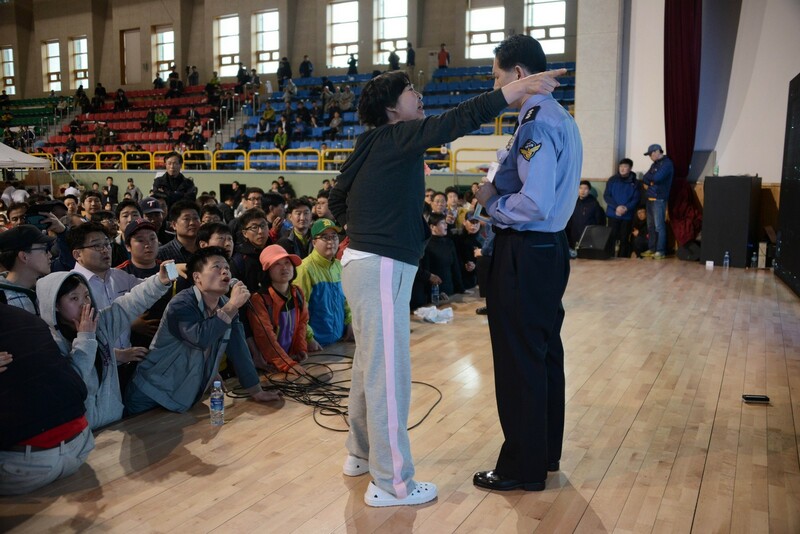 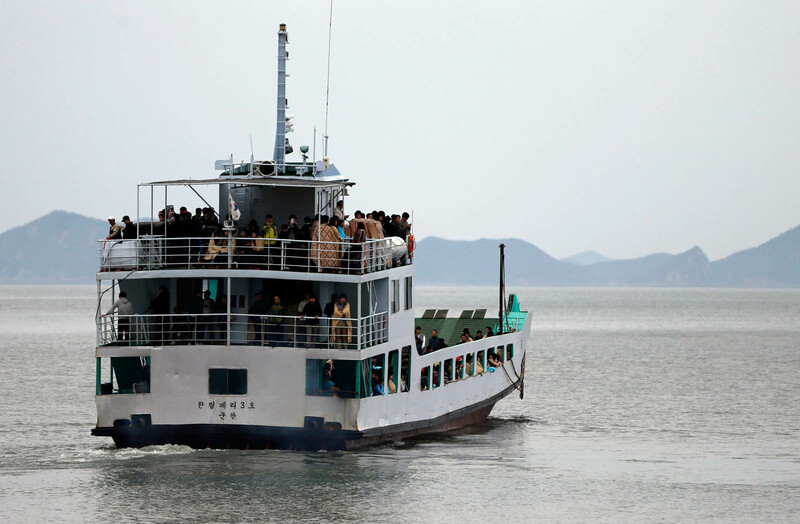 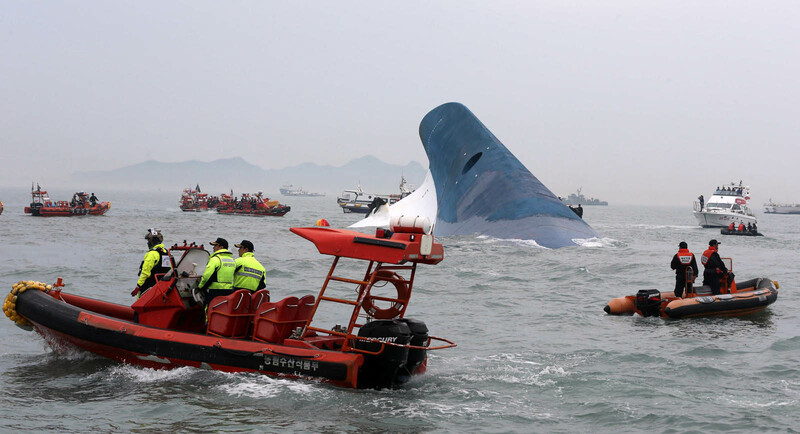 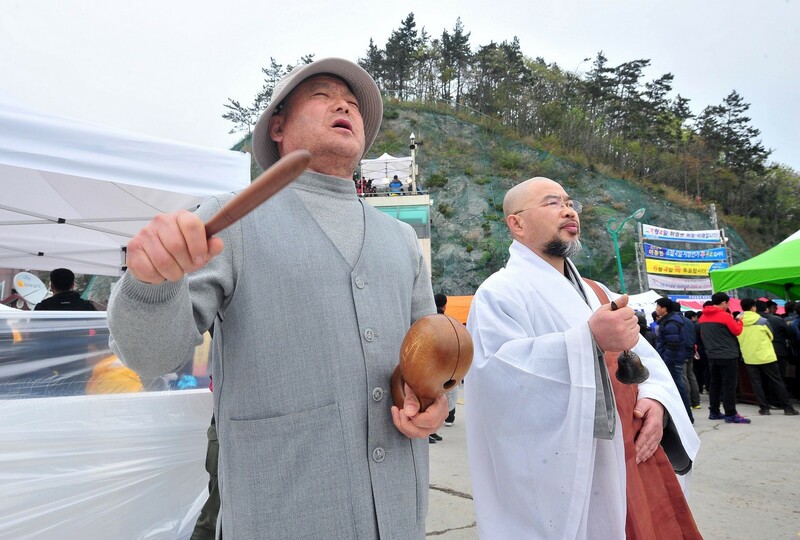 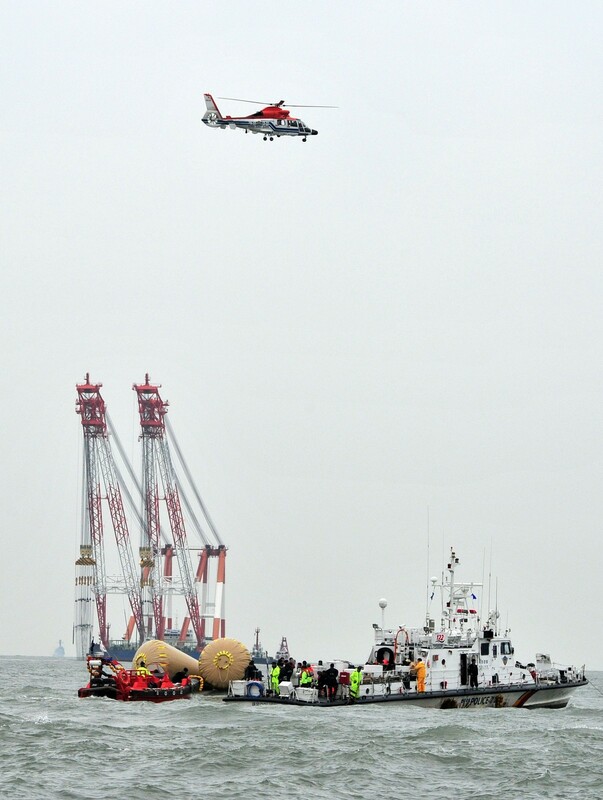 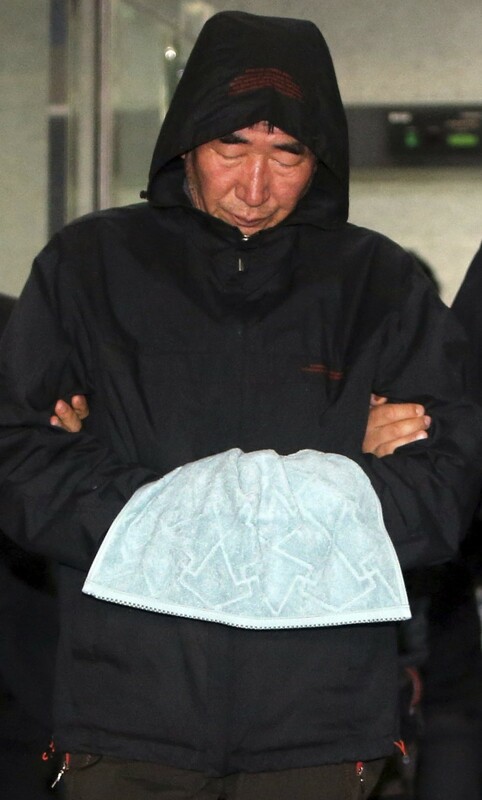 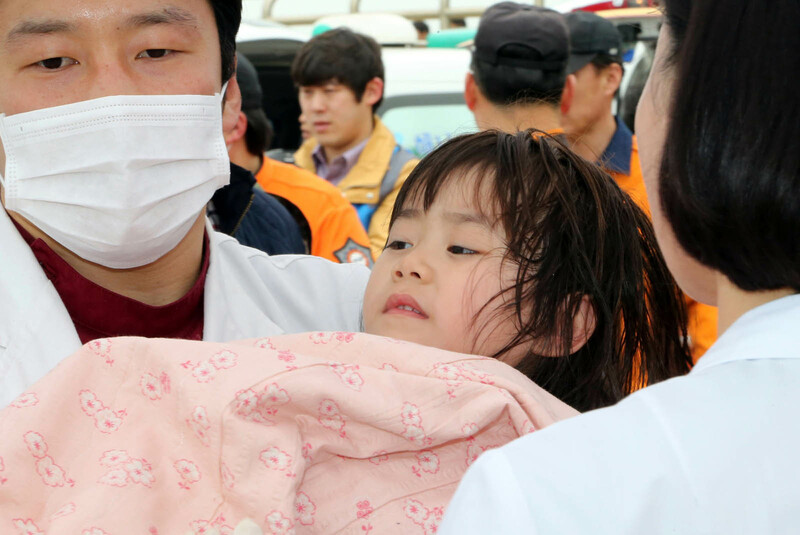 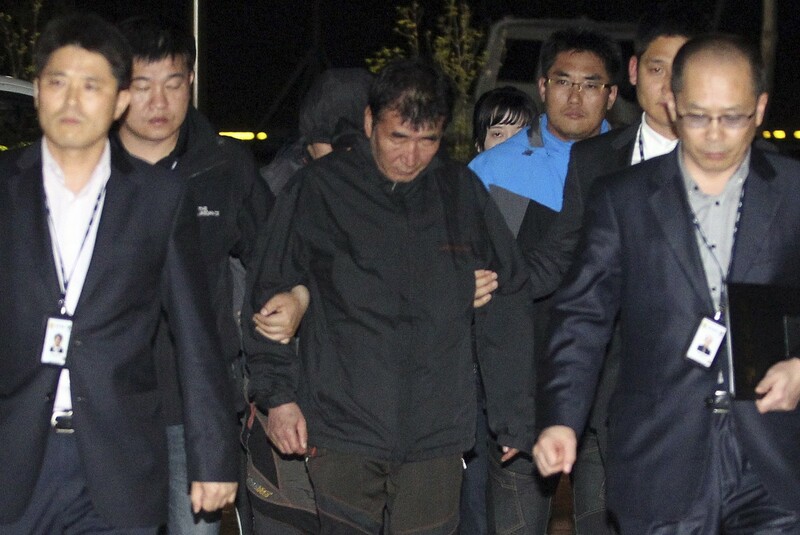 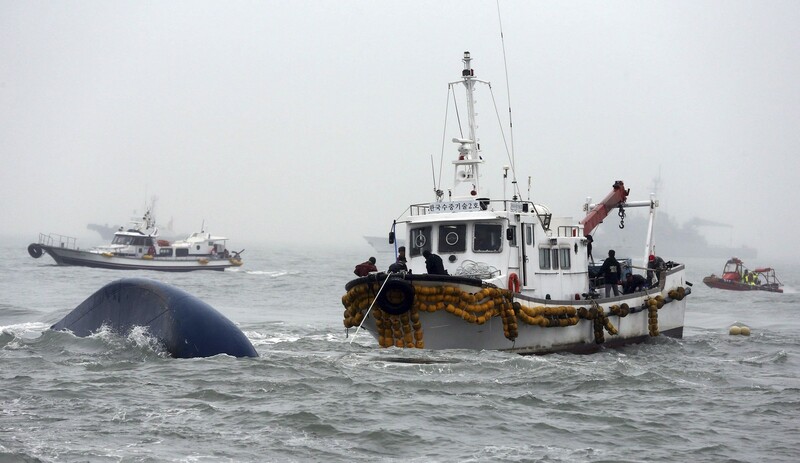 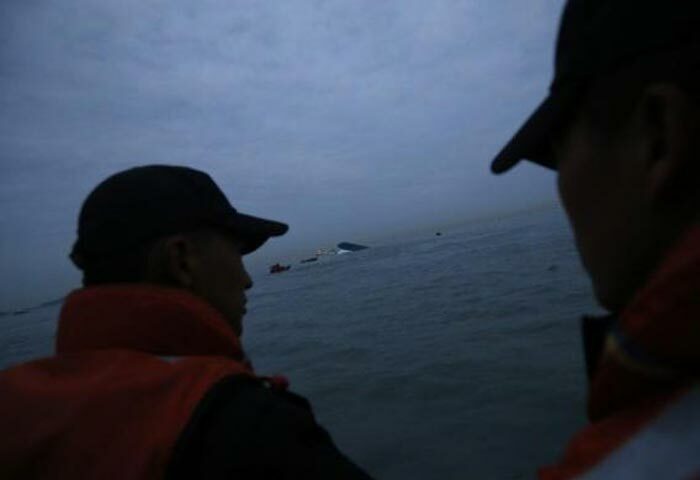 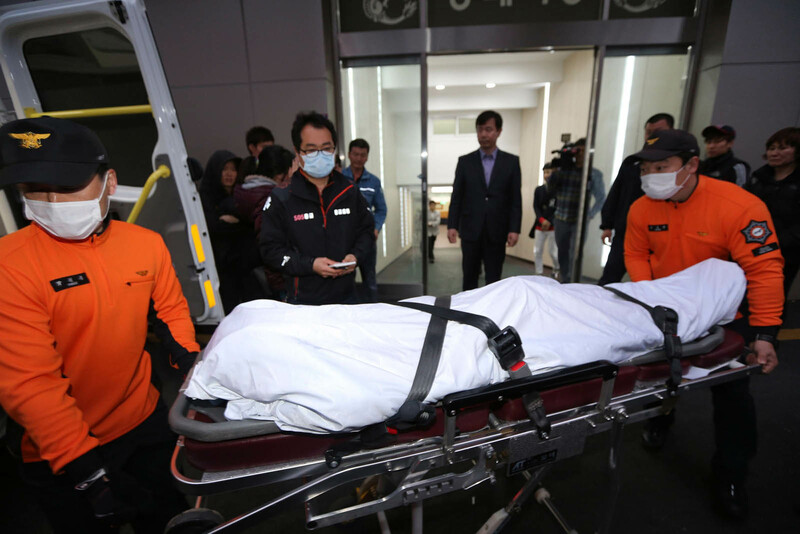 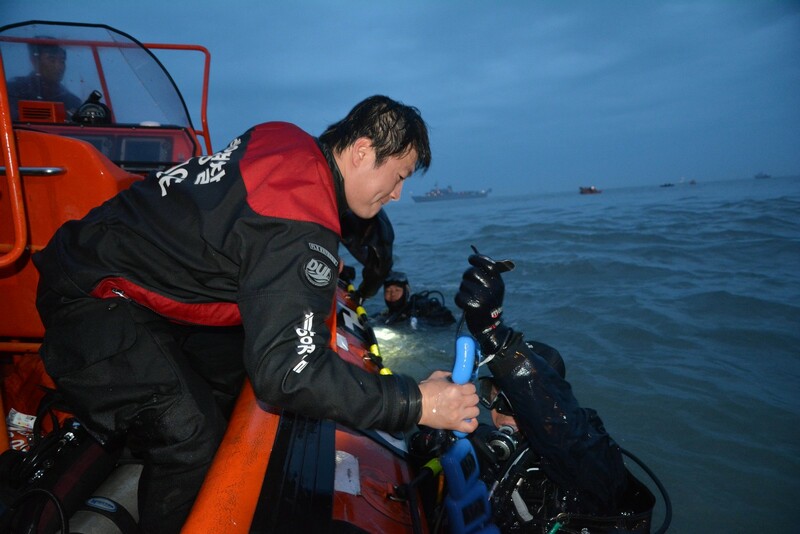 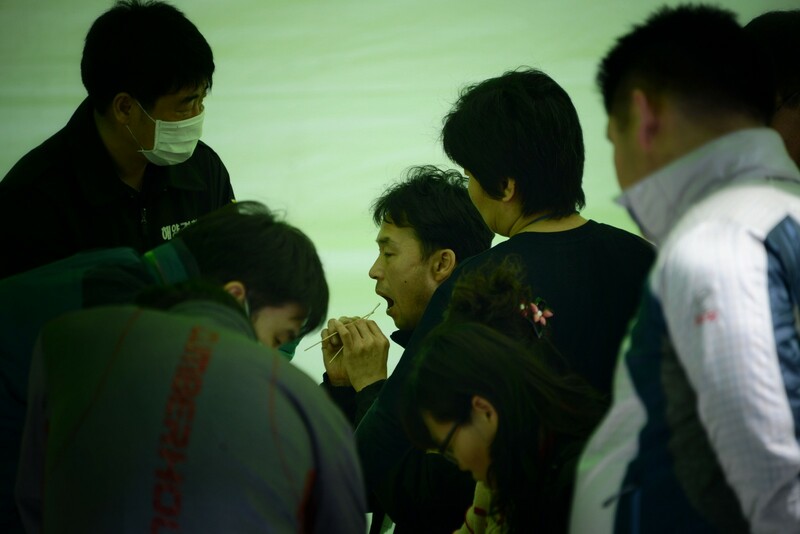 One of the four crew members arrested was the first mate, surnamed Kang, 42, whose voice could be heard in the 31-minute communication with the Jindo Vessel Traffic Service before the ship sank. 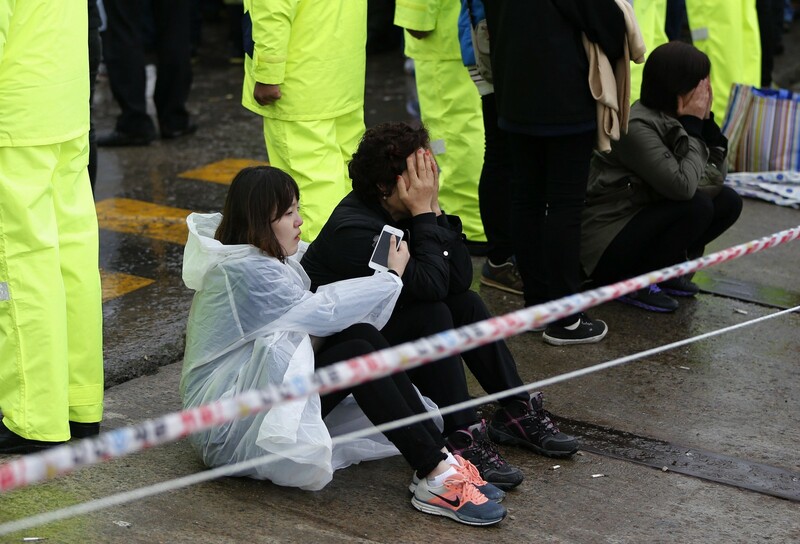 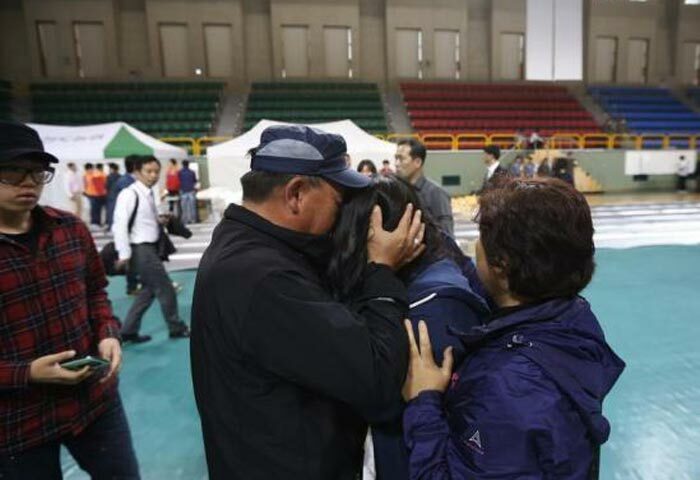 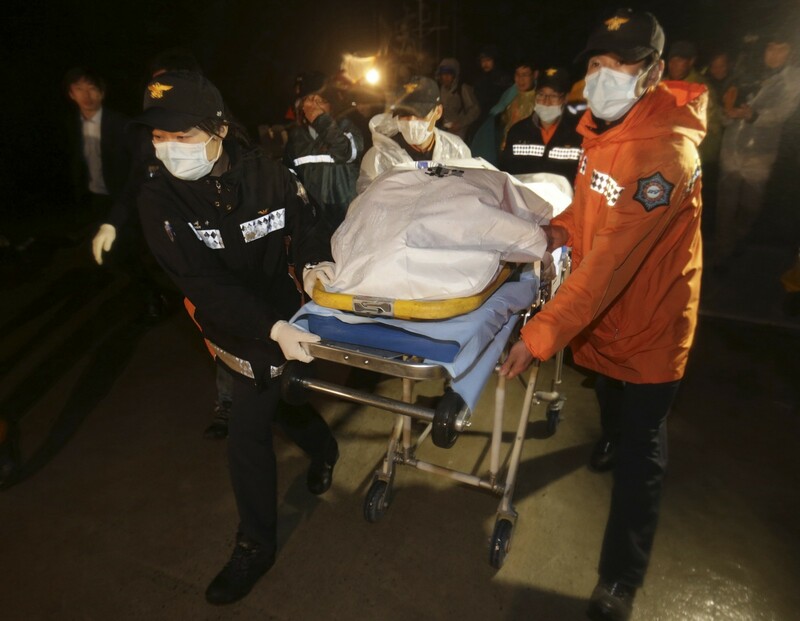 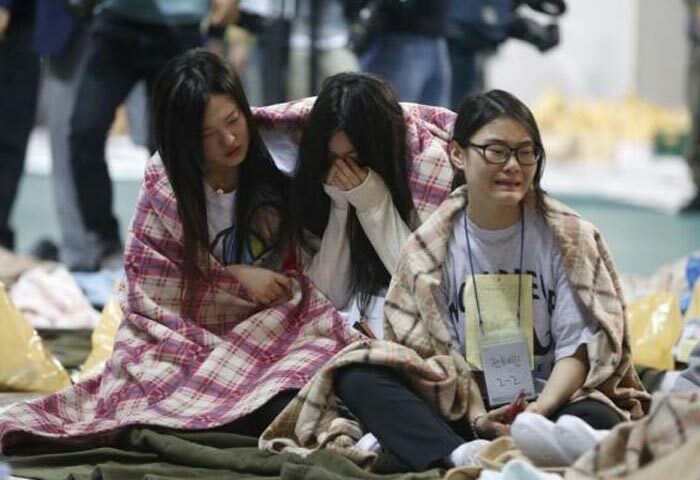 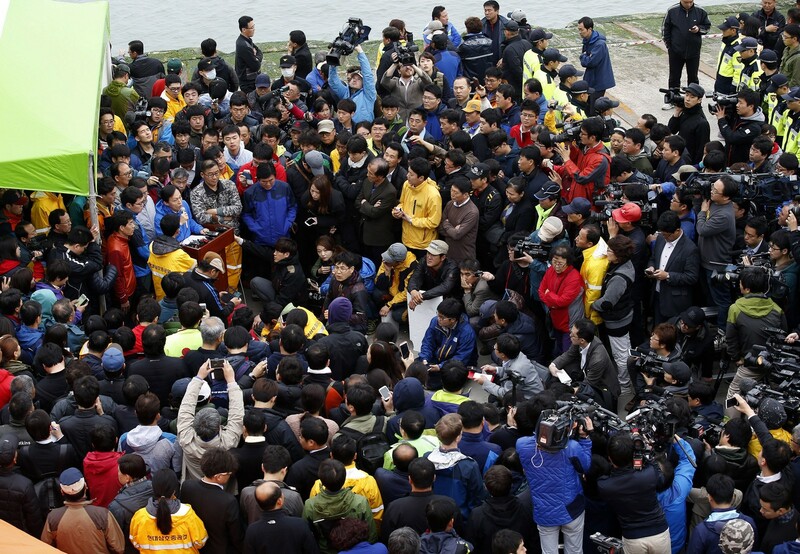 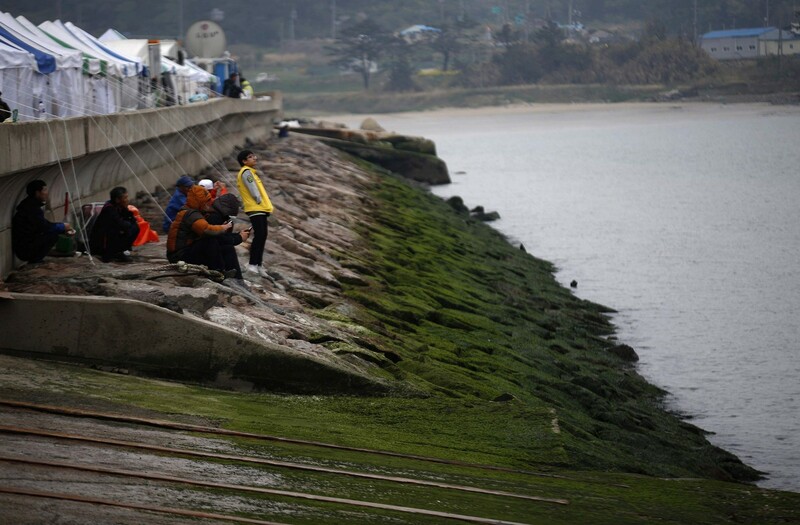 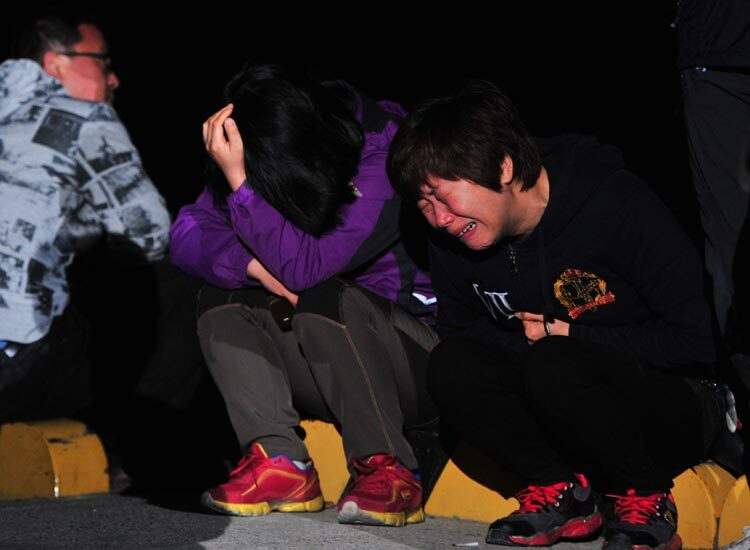 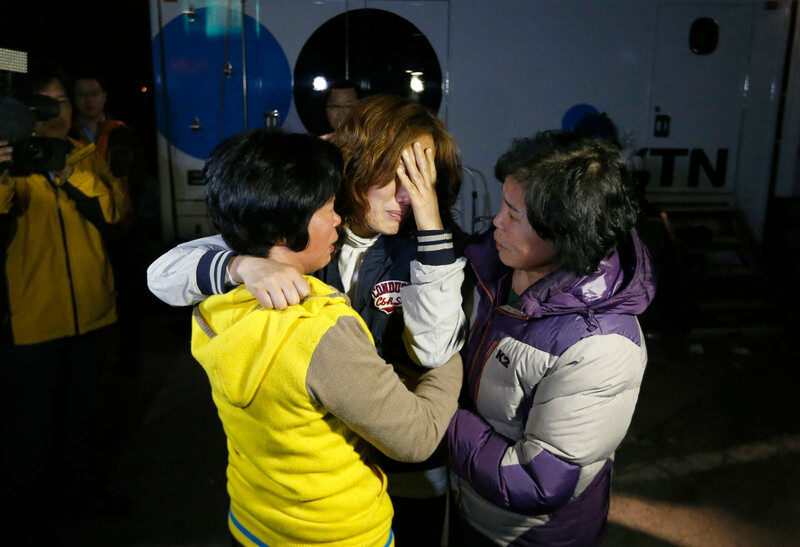 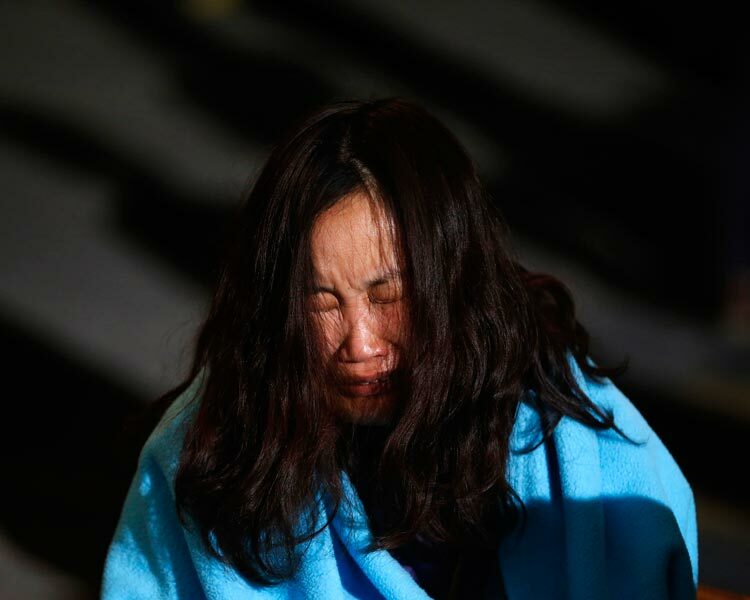 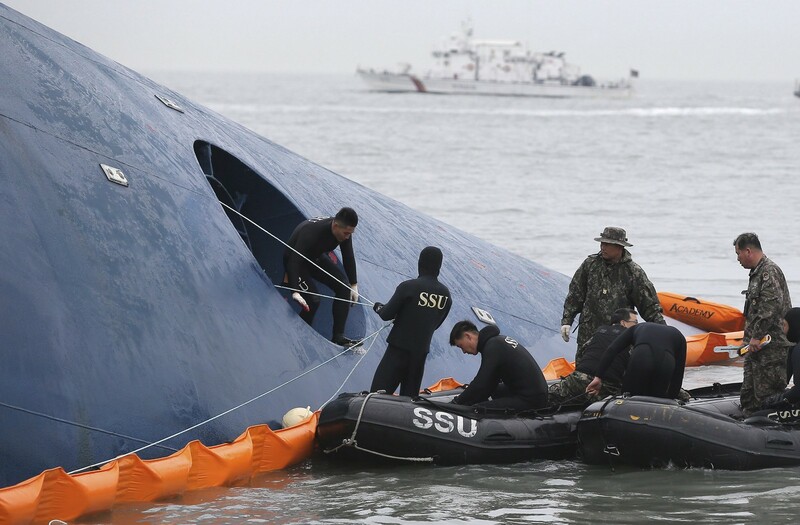 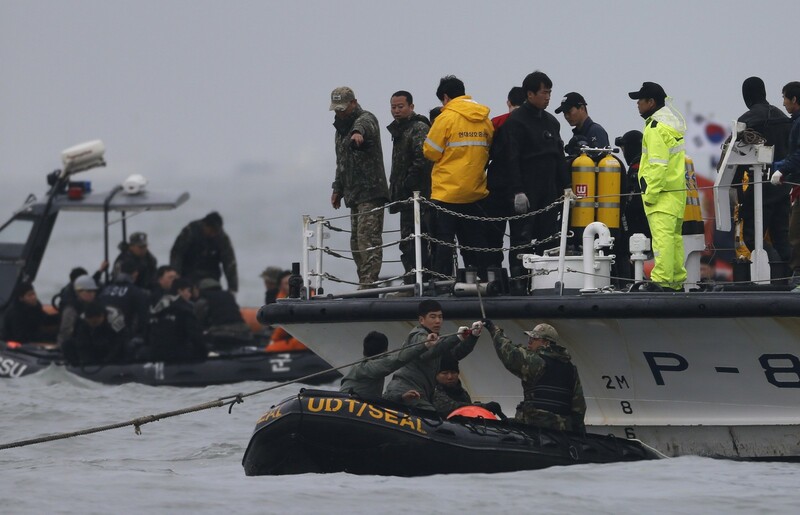 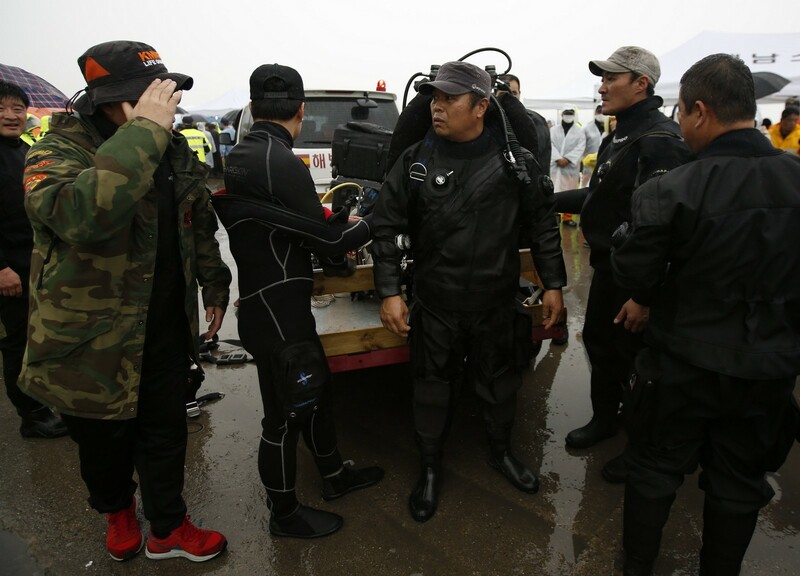 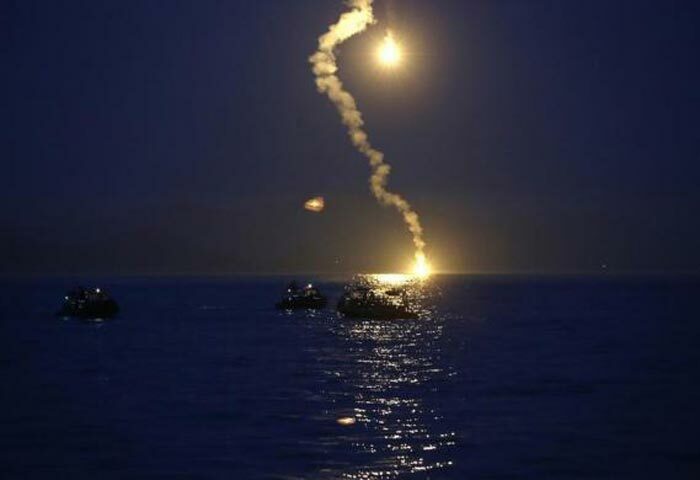 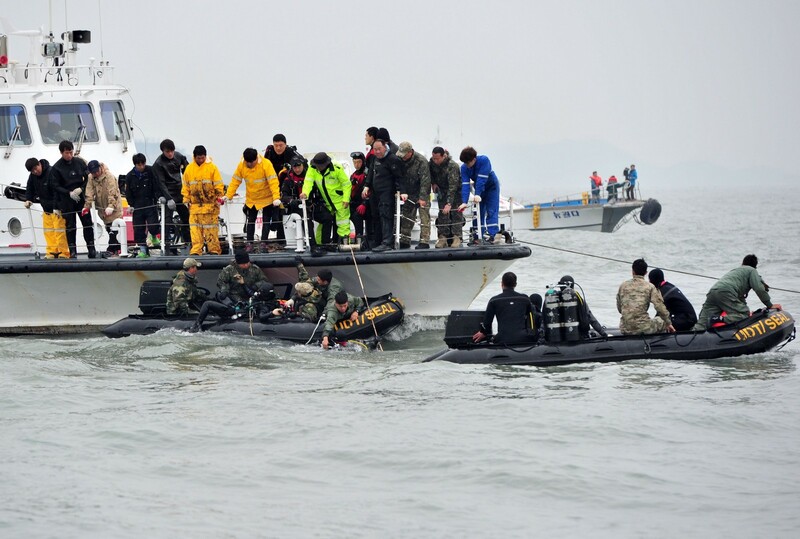 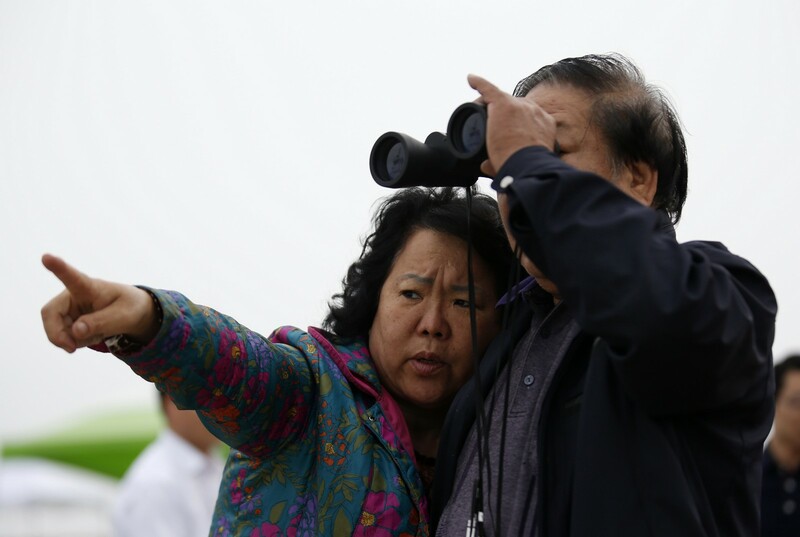 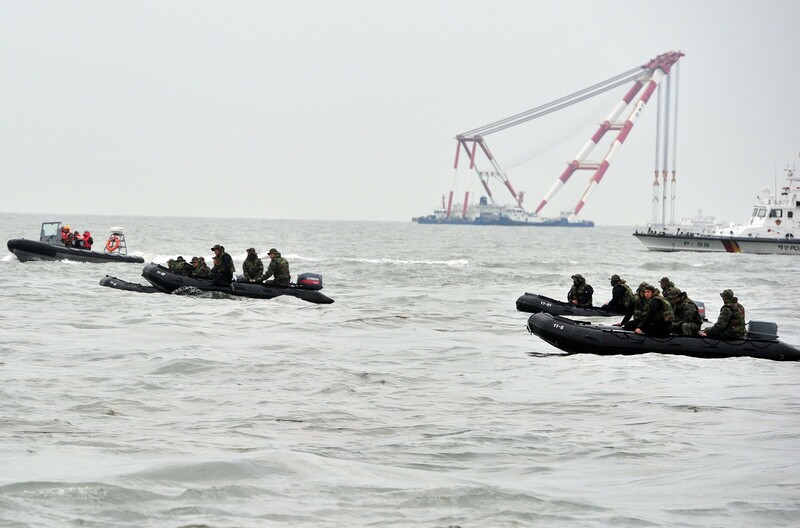 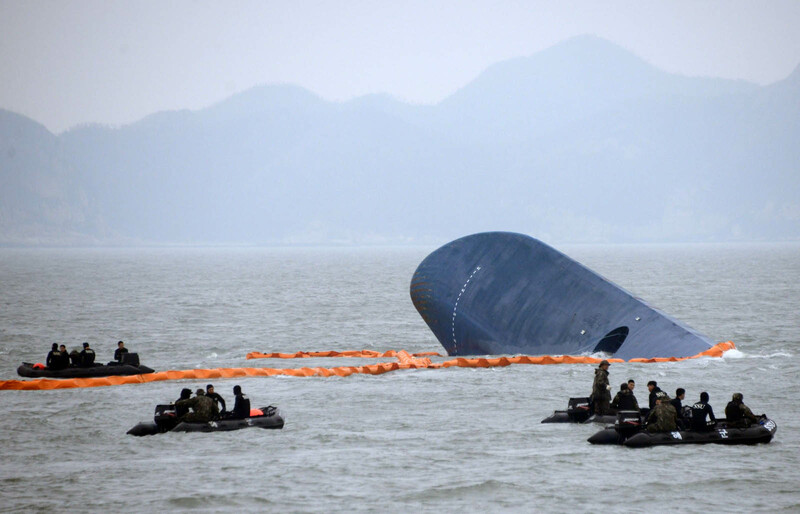 Prosecutors identified the other three crew members as the first mate, surnamed Shin, 34; the second mate, surnamed Kim, 47; and the chief engineer, surnamed Park, 57. 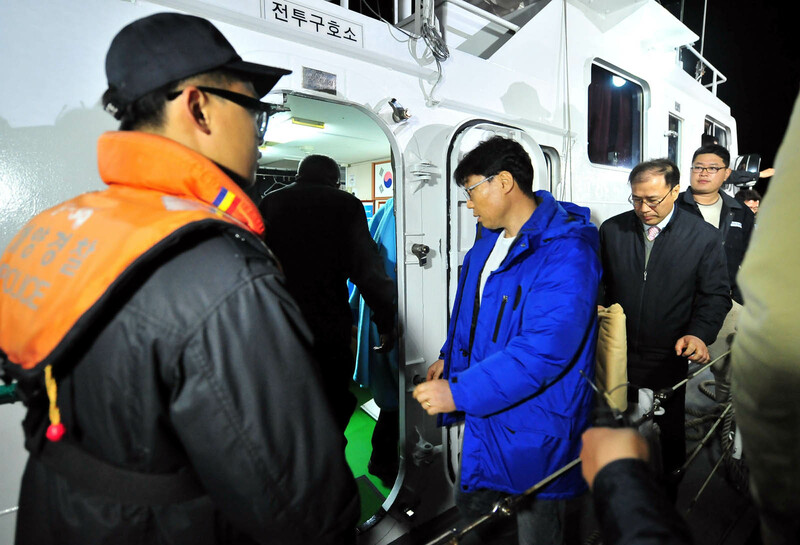 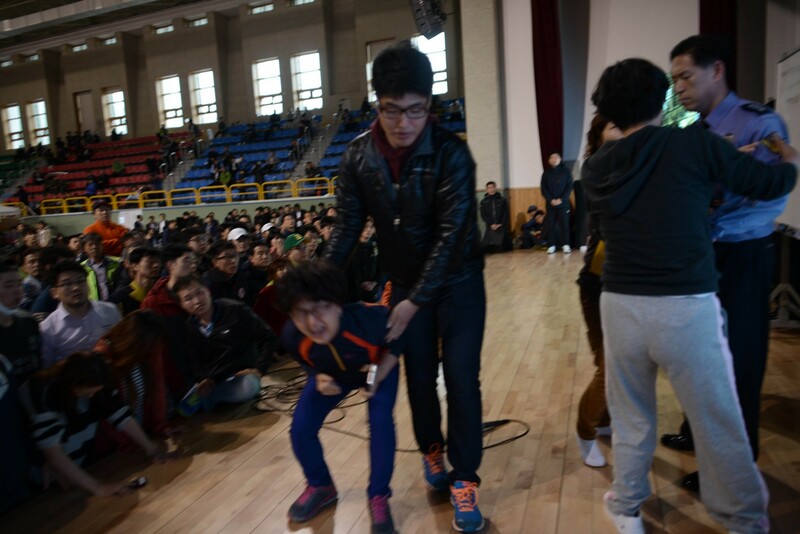 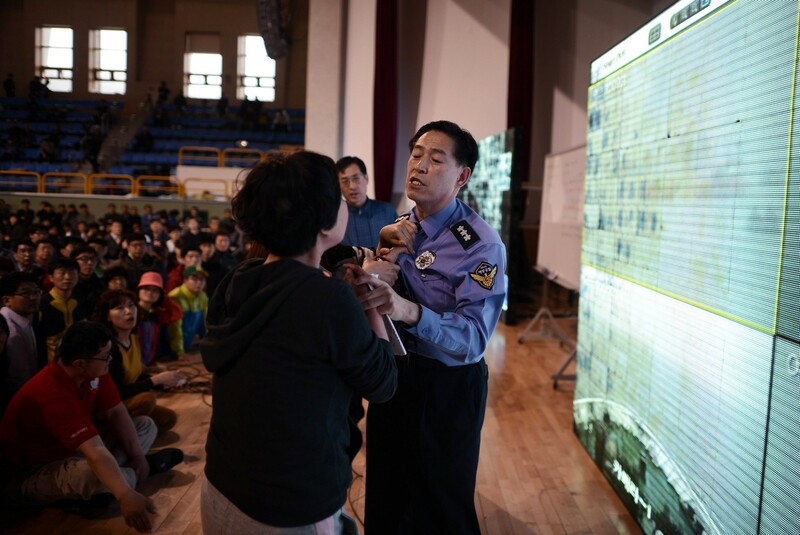 Earlier in the day, the prosecution took two more crew members into custody for abandoning the ship without evacuating the passengers, who were mostly high school students on a school trip. 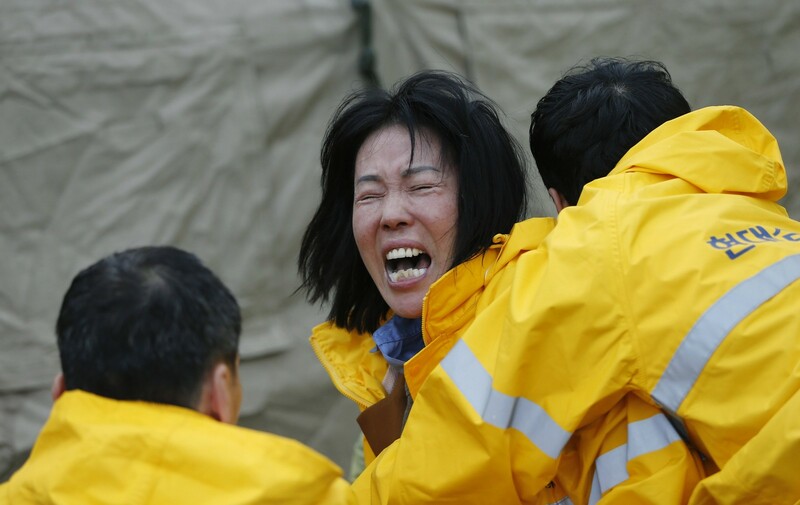 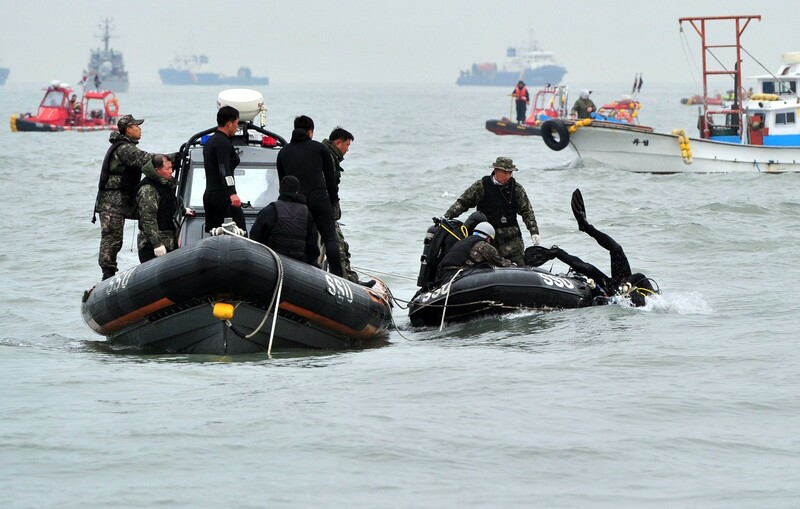 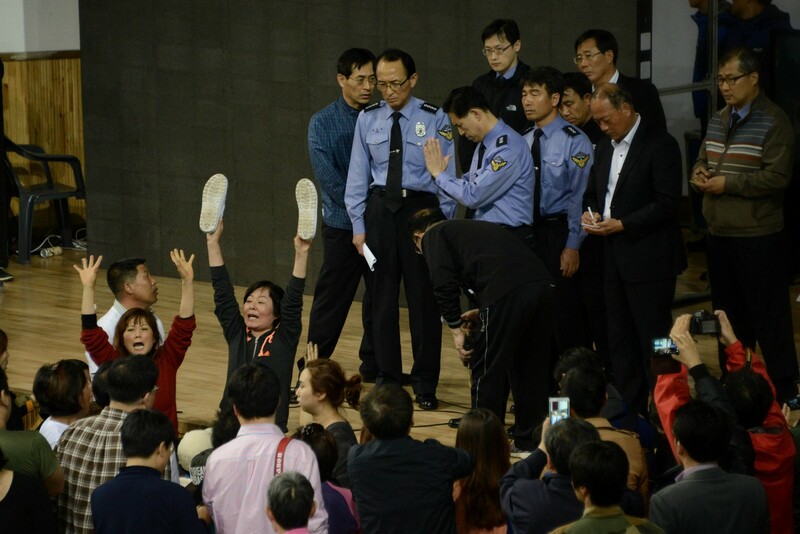 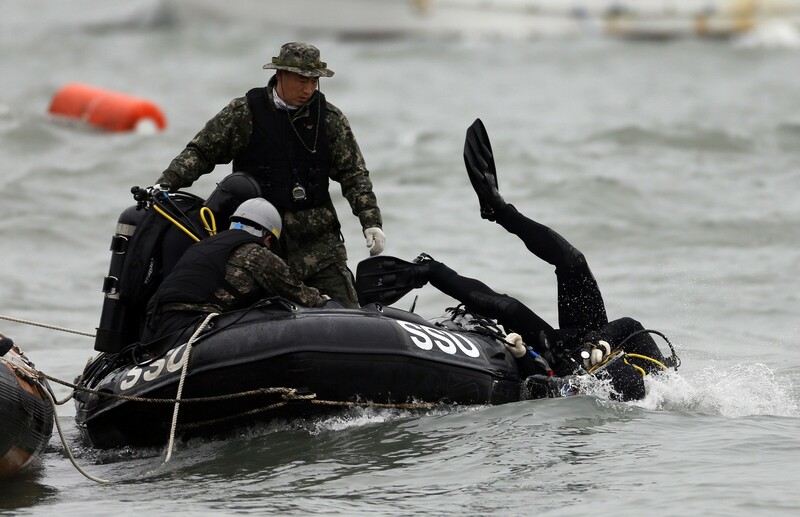 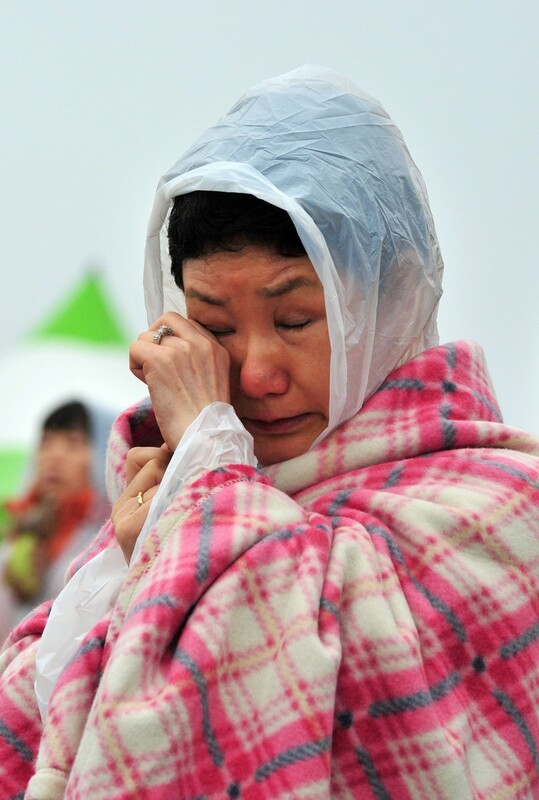 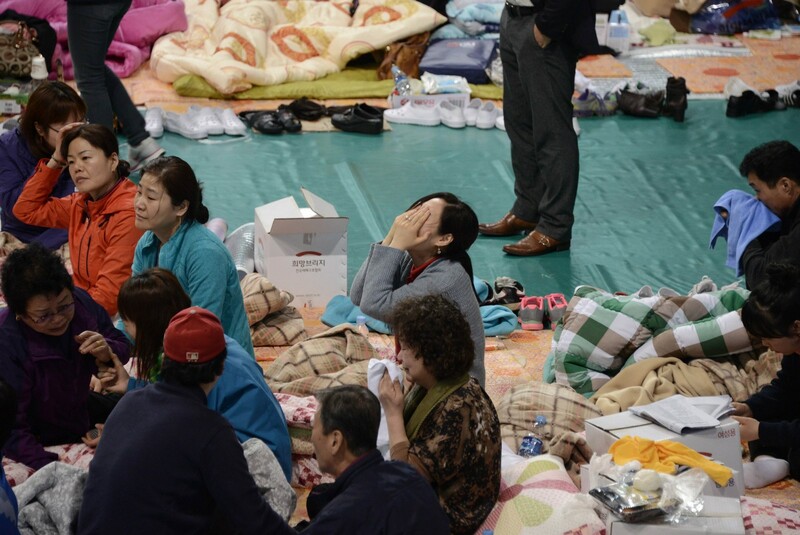 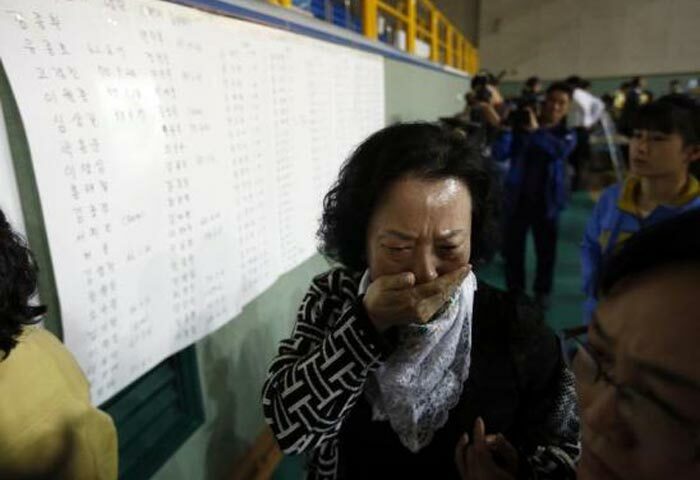 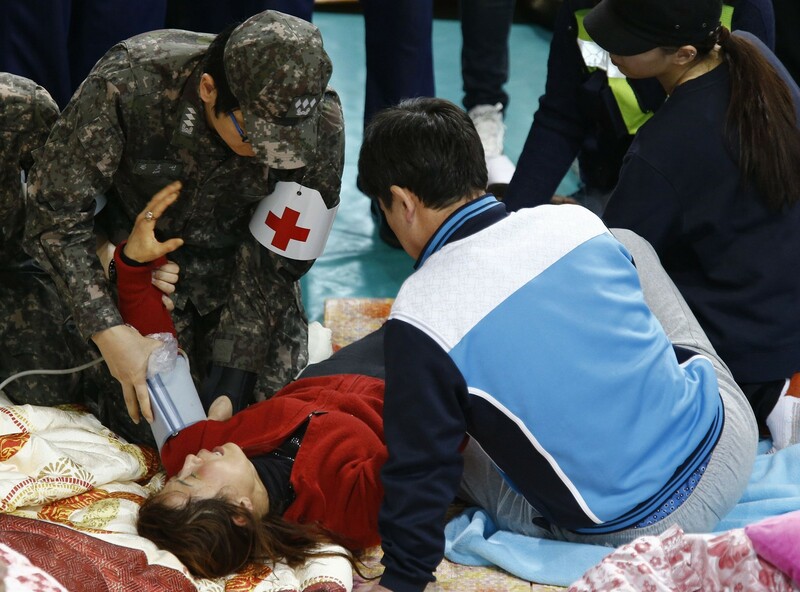 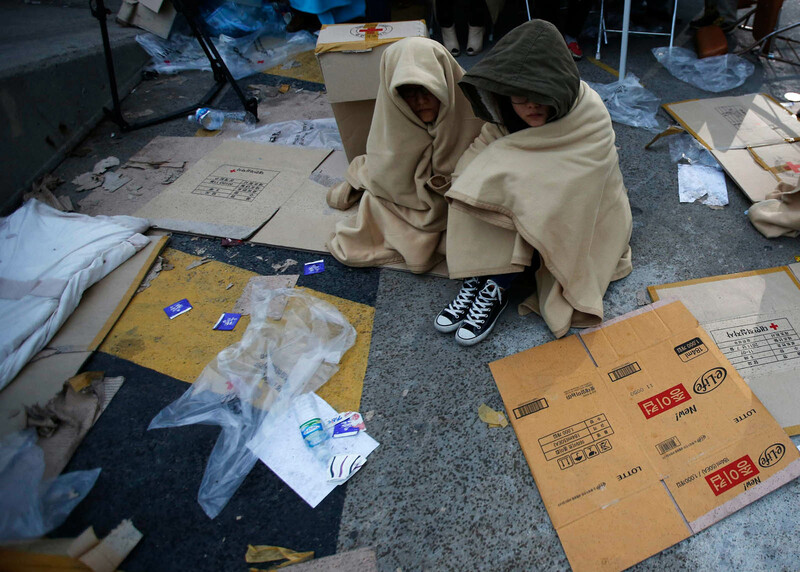 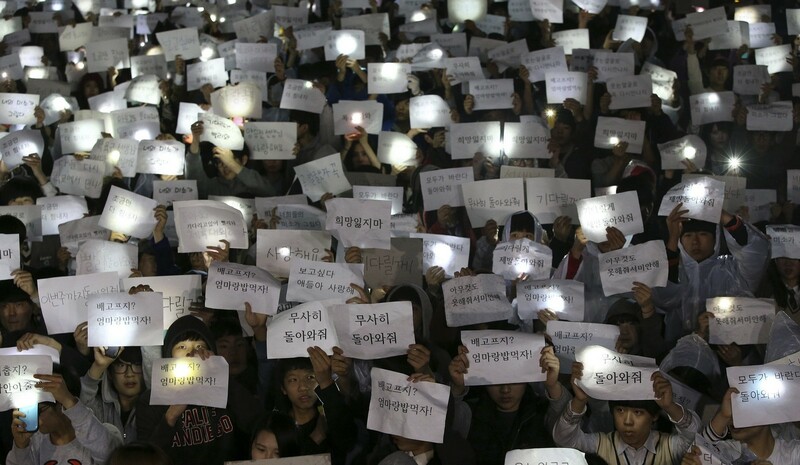 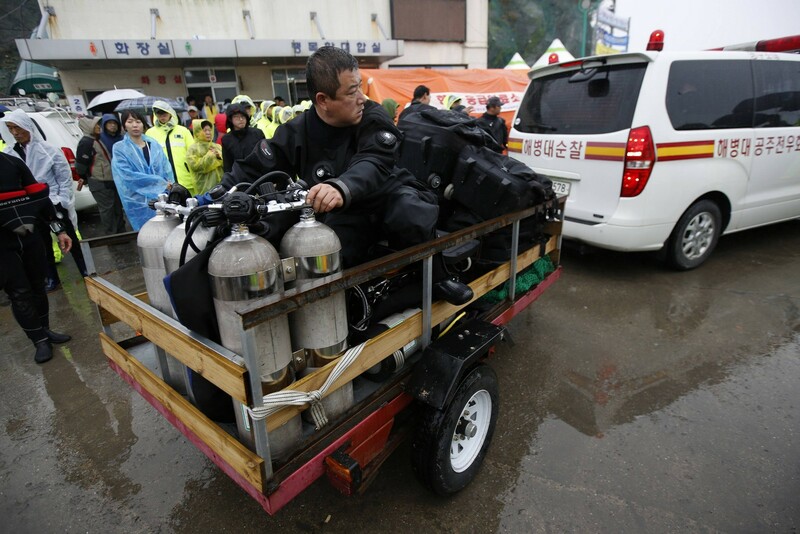 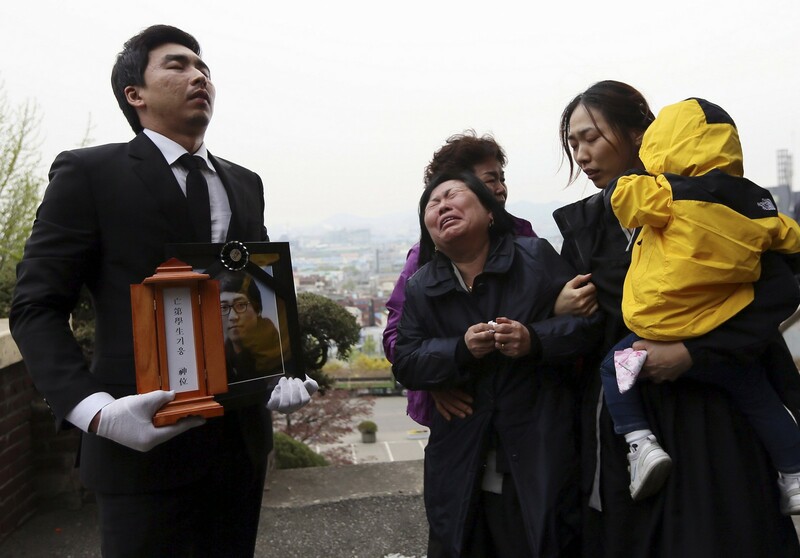 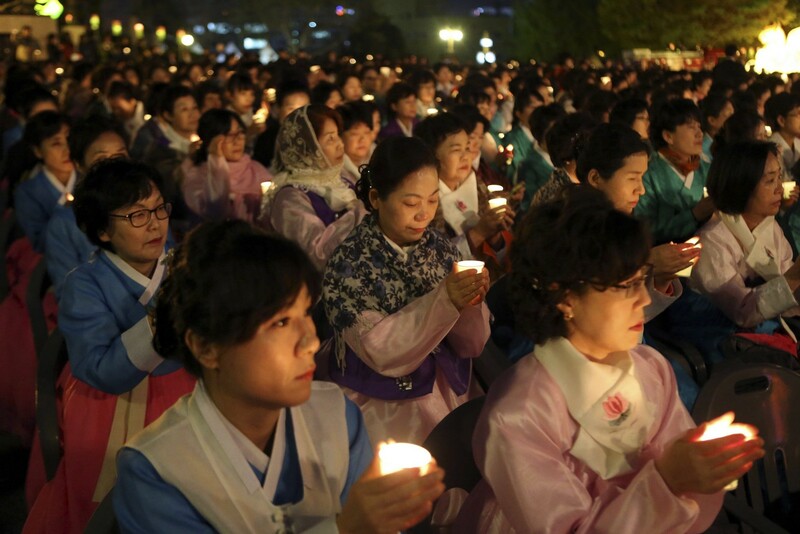 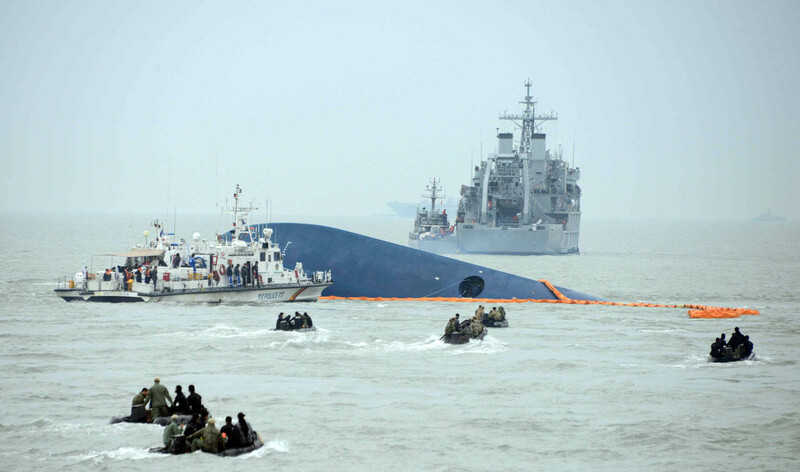 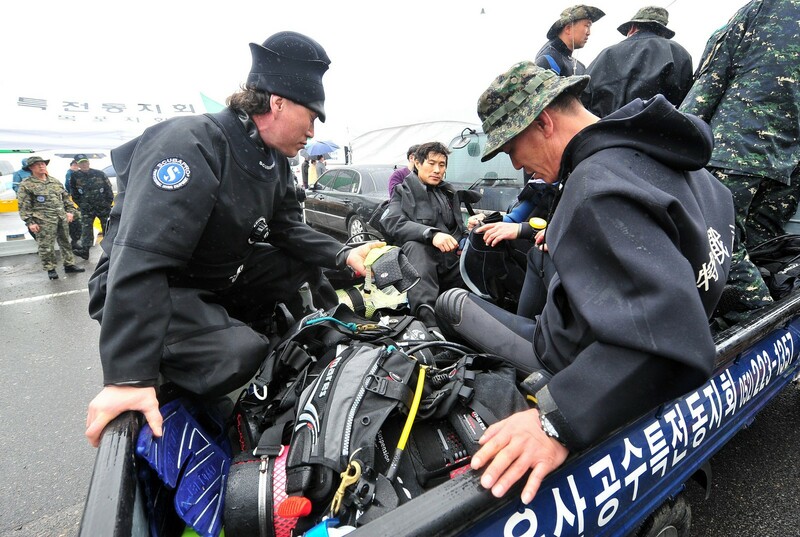 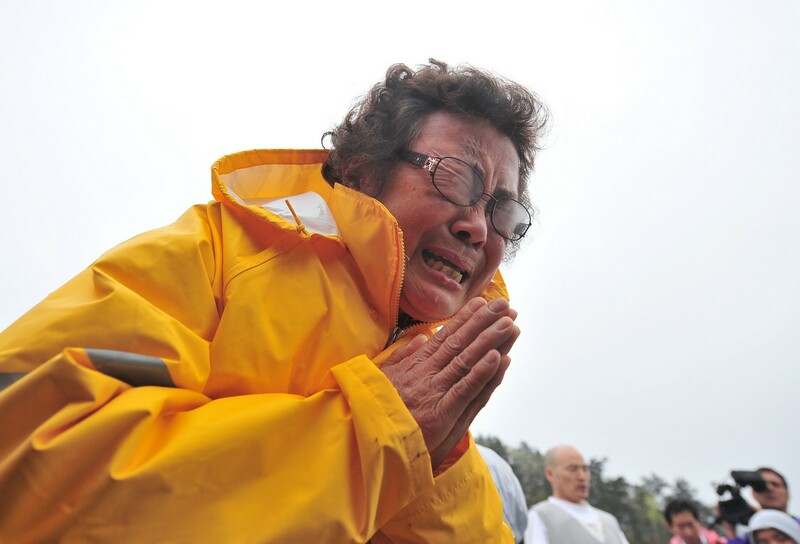 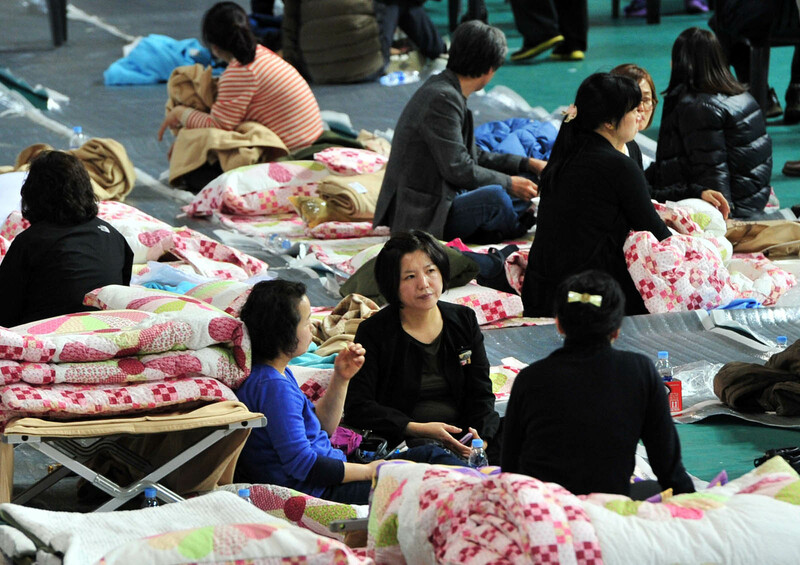 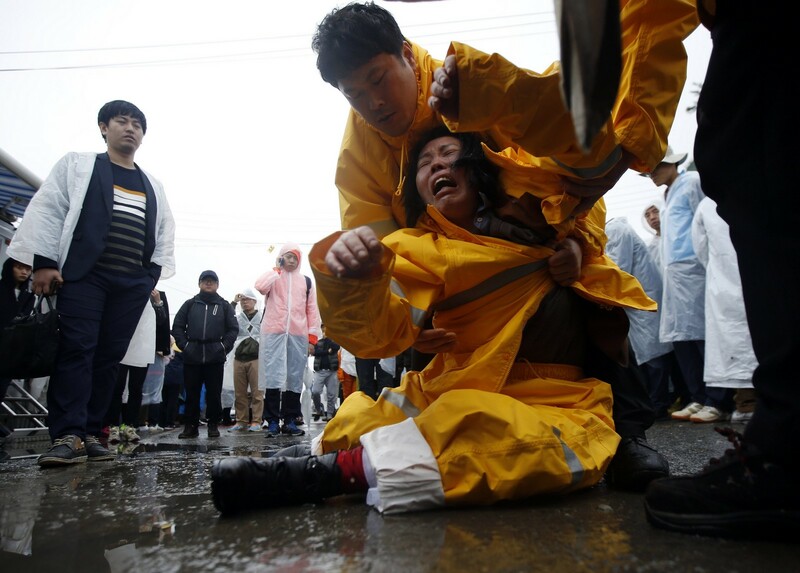 South Korean President Park Geun-hye had called the crew members' desertion "murderous," blaming the captain and others for the "man-made" catastrophe. 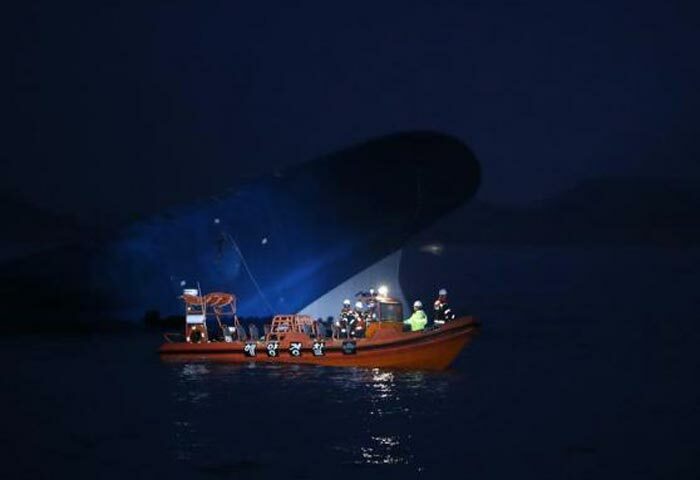 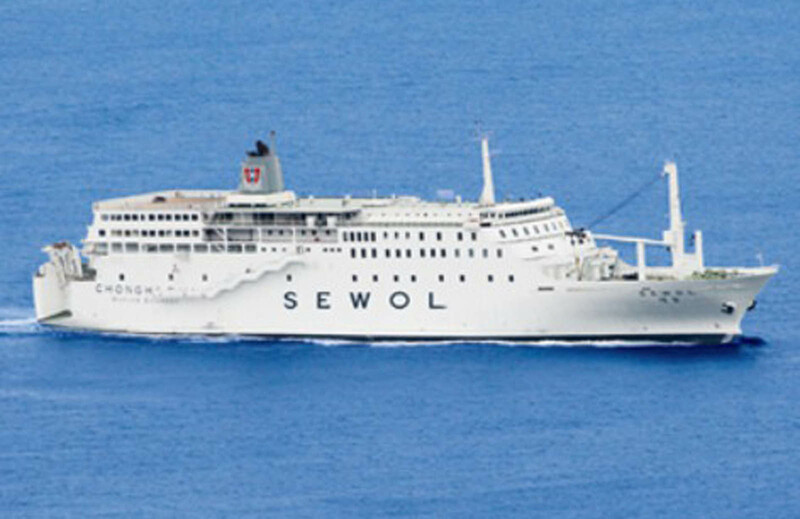 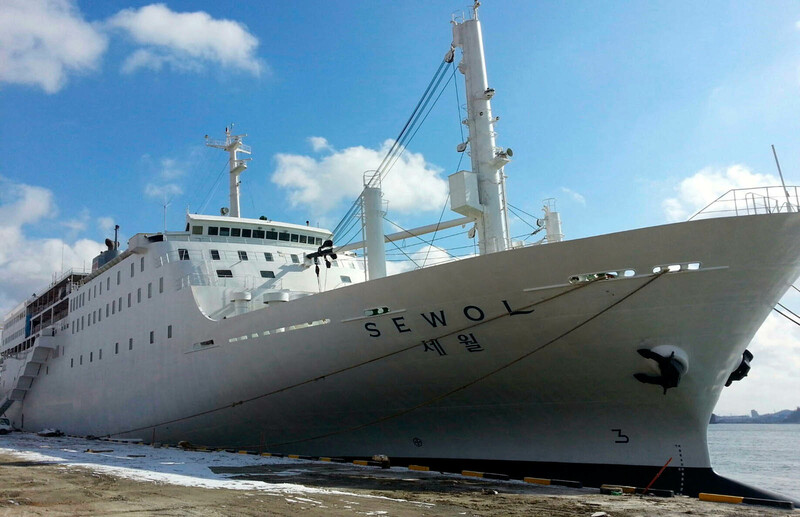 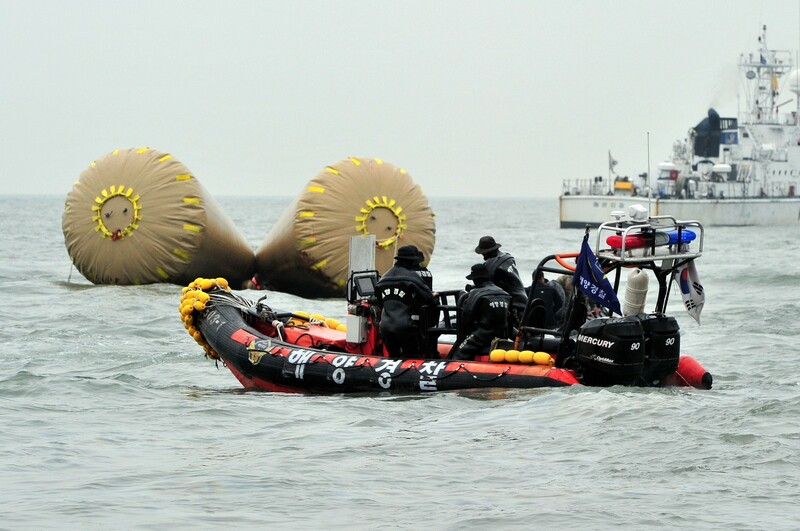 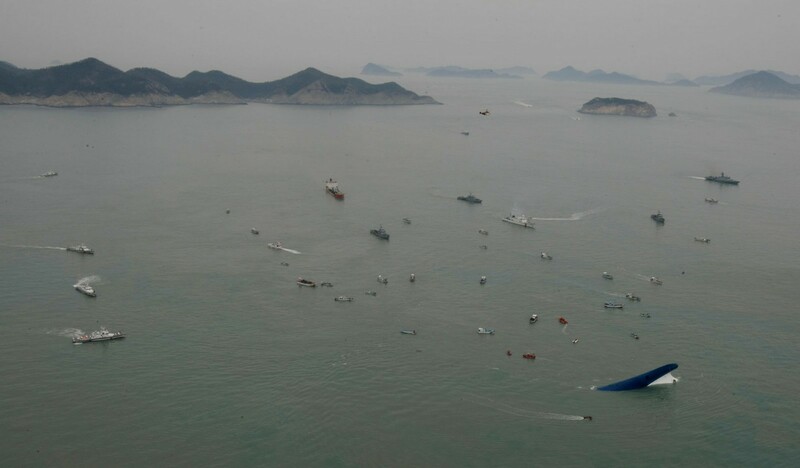 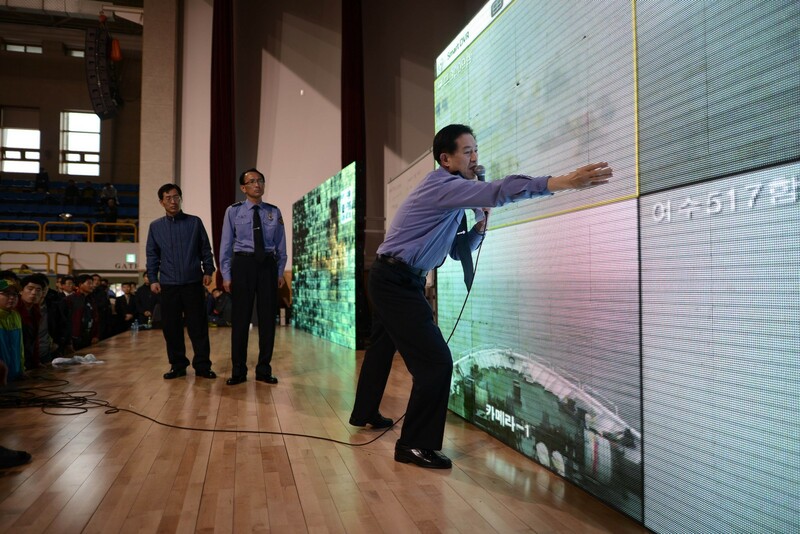 The prosecution and the police will be looking into the recorded communications between the Sewol and the Jindo Vessel Traffic Service for incriminating evidence. 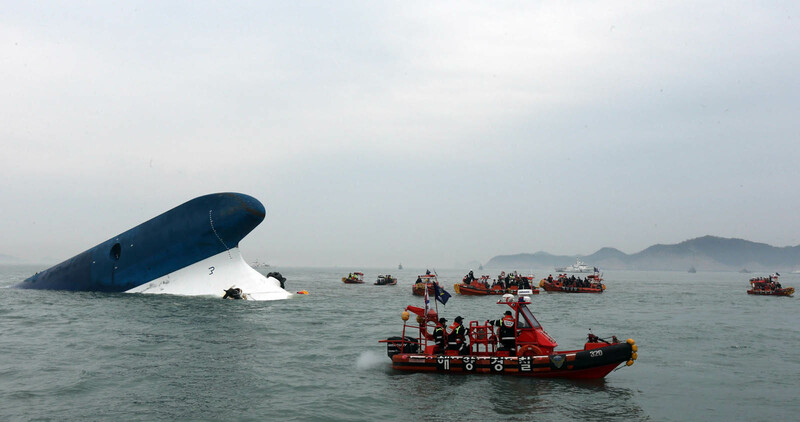 But it could take weeks or possibly months before the authorities issue a detailed report with a consistent timeline and probable circumstances, as the testimonies of the captain and surviving crew members have turned out to be conflicting. 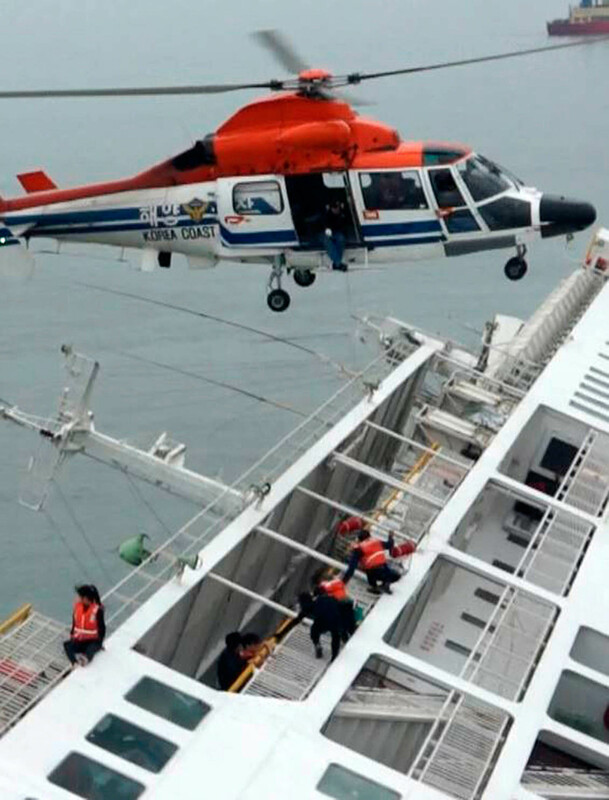 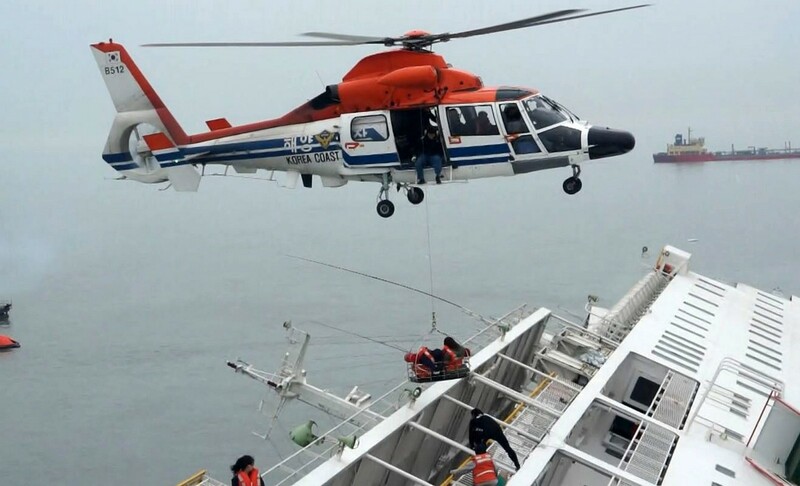 A crew member reportedly told the investigators that he was not told by the captain to order passengers to abandon ship, while the captain himself claimed he had issued the order. 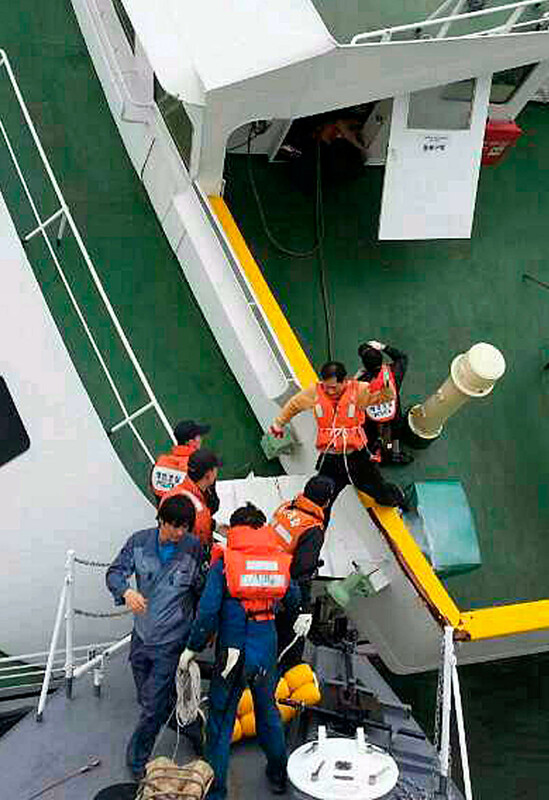 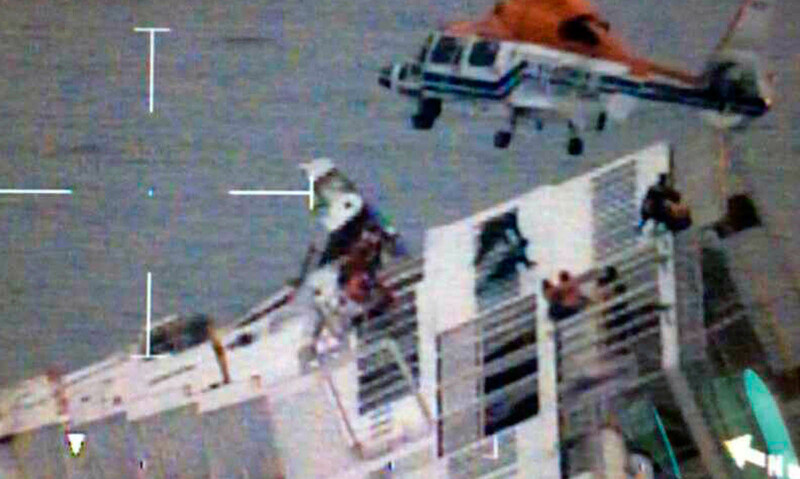 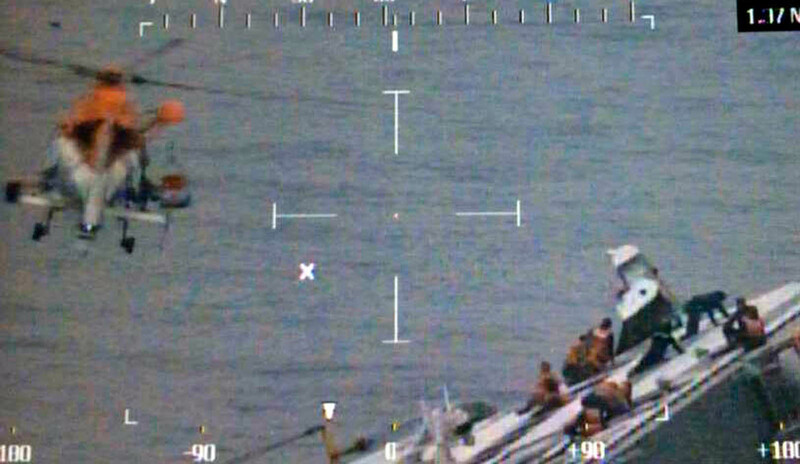 The captain and most of the crew were among the first to be rescued as other passengers remained trapped in the ship following the crew's instructions to stay put. 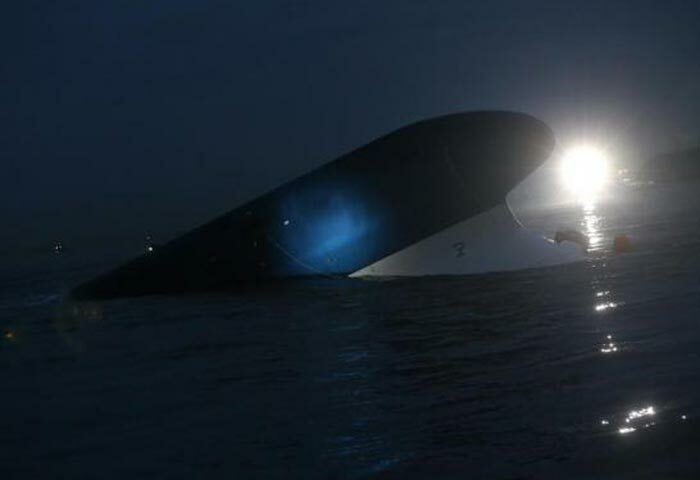 Investigators have also failed to track down the exact location of the captain before and at the time of the accident. 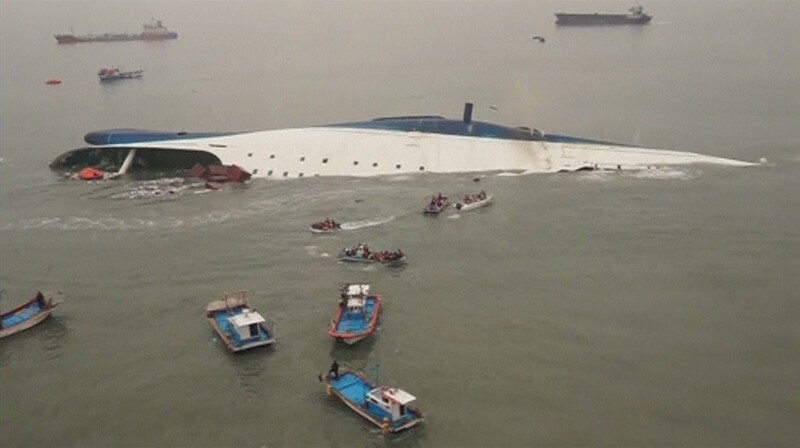 During the investigation, the captain said he had found the ship in trouble after he had ordered the third mate to navigate the ferry through the sea-lane and briefly visited his own cabin to smoke. 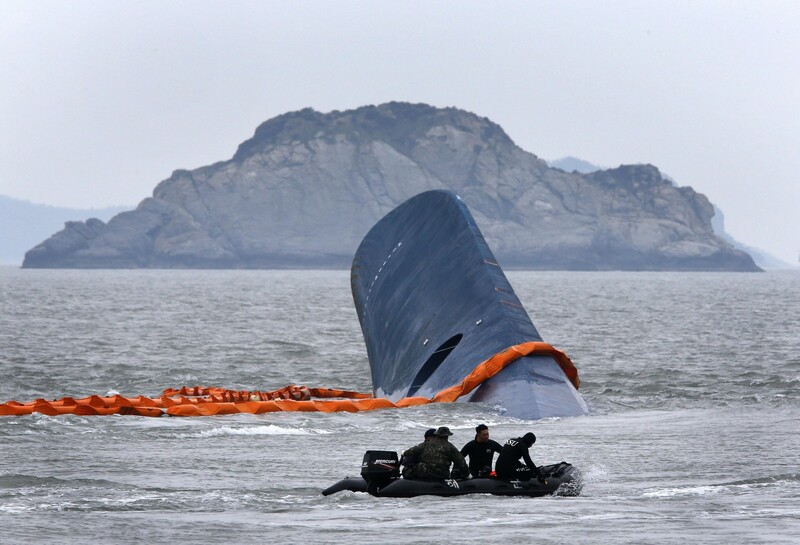 But some of the crew members questioned reportedly told the investigators that the captain had been gone for about an hour before the ship began listing. Apparently, an engineer only identified by his surname Park, 54, made the evacuation order instead of the captain, but only to crew members who communicated via walkie-talkies. 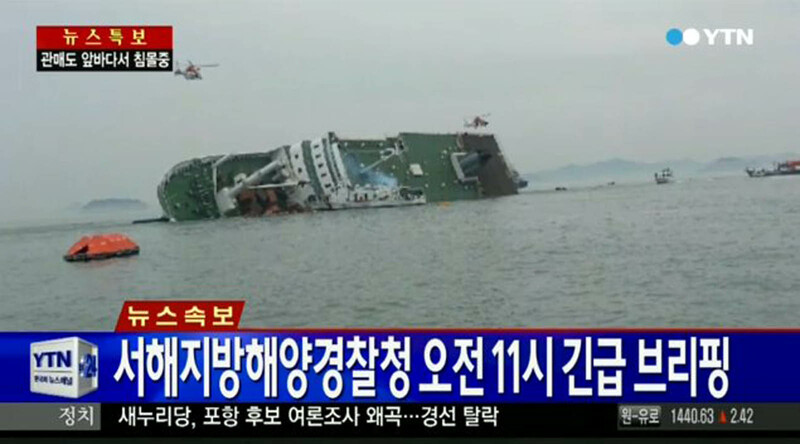 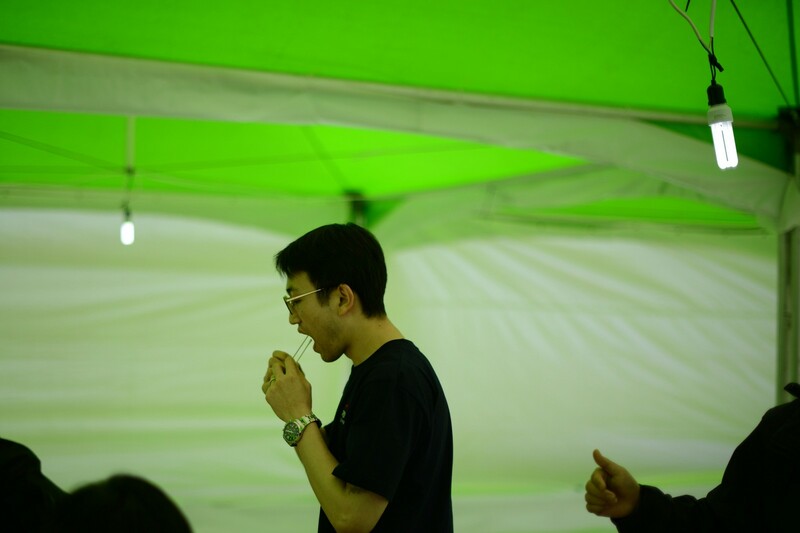 Park claimed that the crew members escaped through a private passage for staff only. 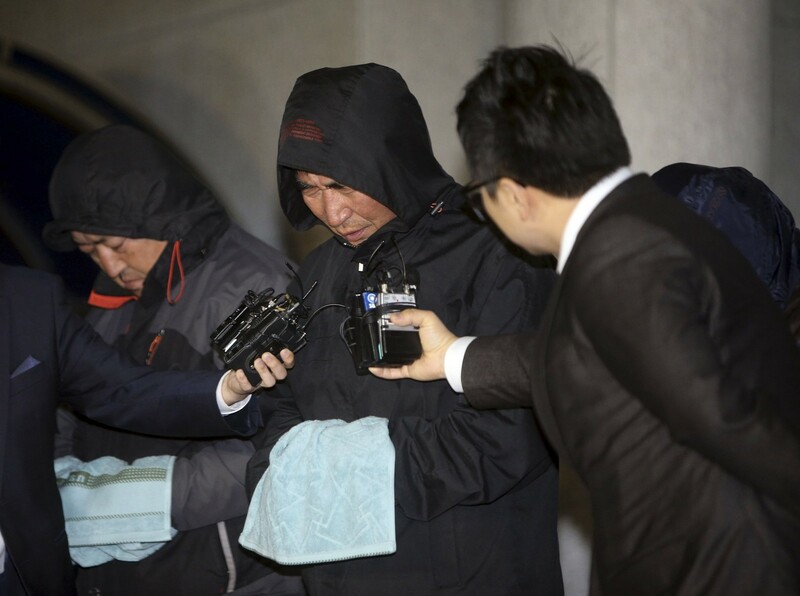 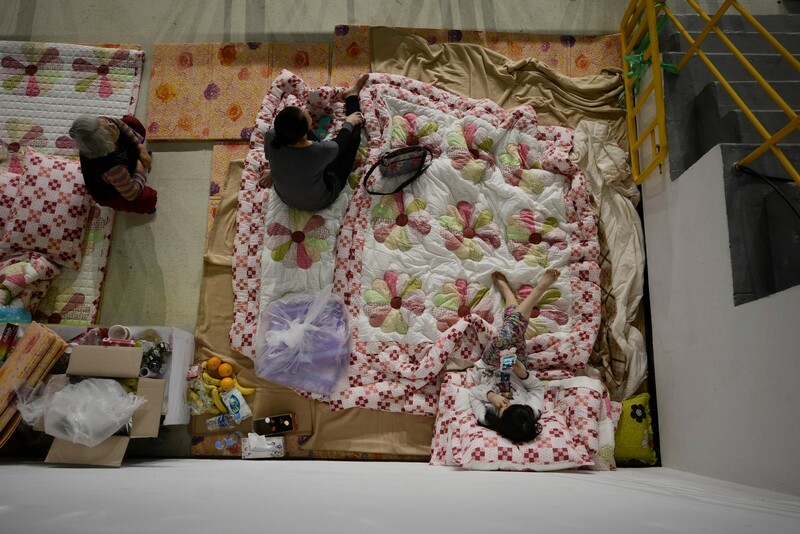 "These are just claims (by the crew members) yet to be confirmed," an official from the investigation team told Yonhap. 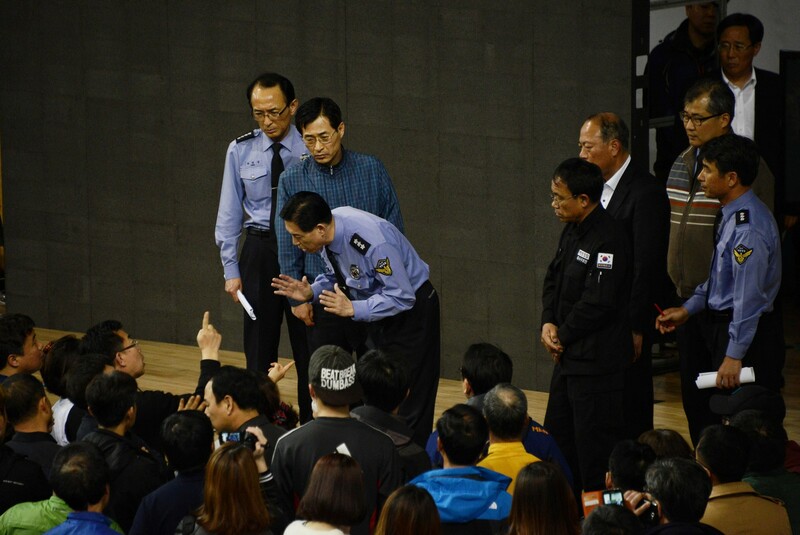 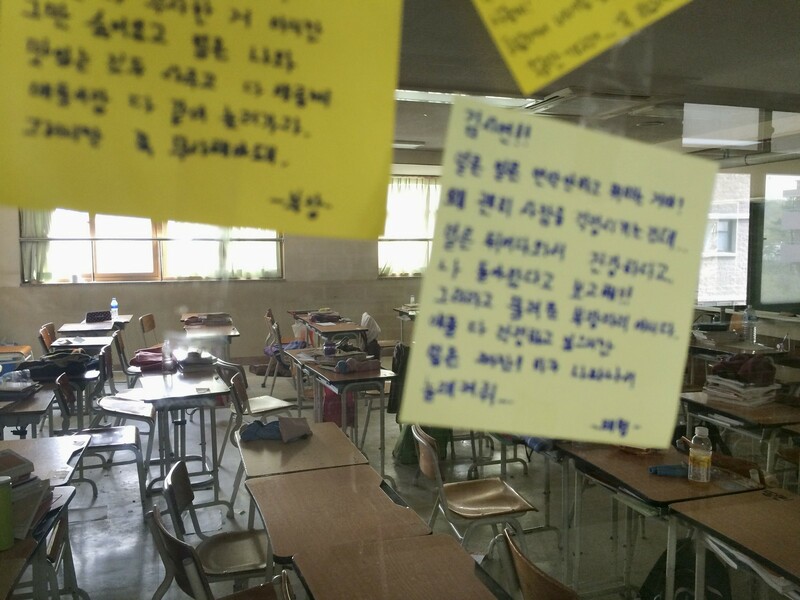 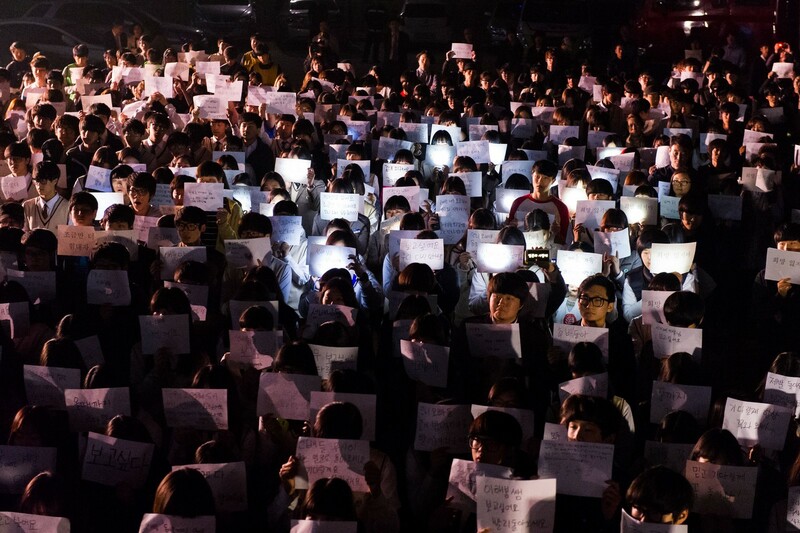 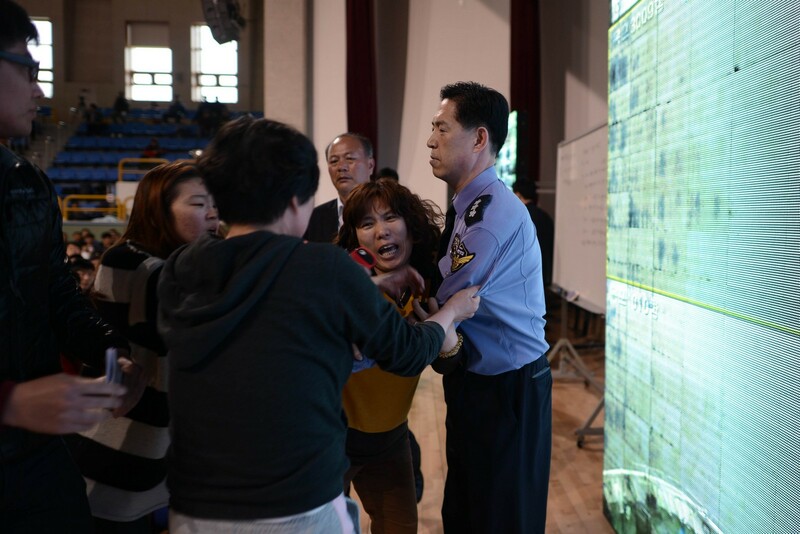 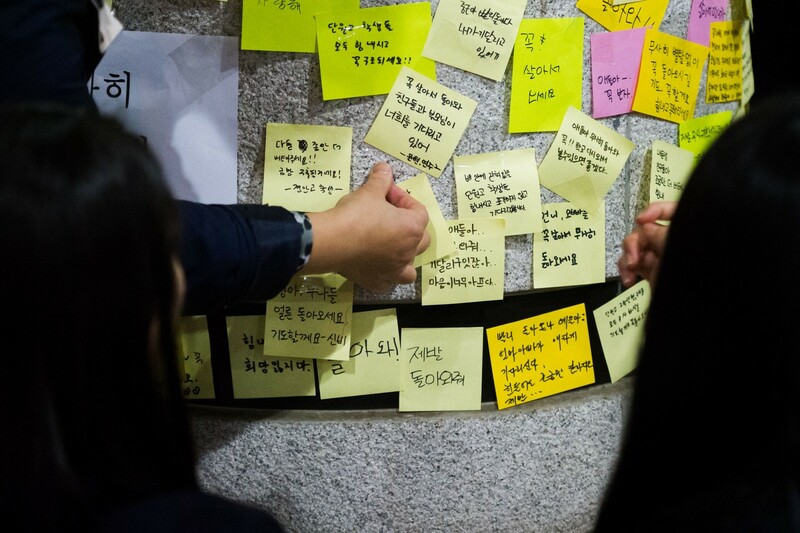 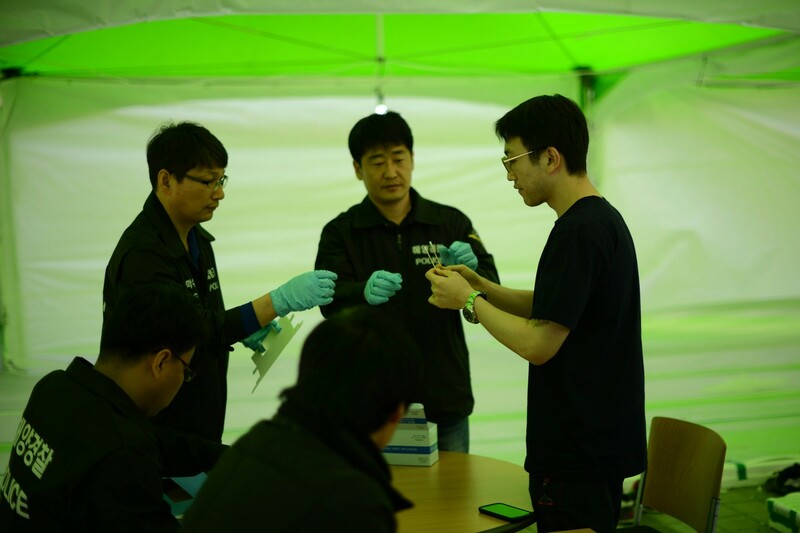 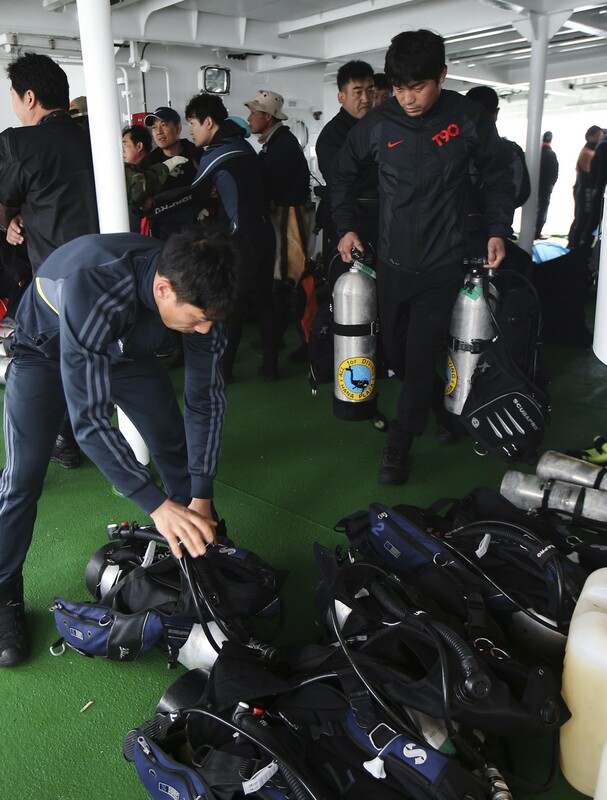 On the sixth day after the sinking, the joint team of prosecutors and police raced against time to piece together evidence from communication logs and Kakao Talk mobile messages sent from passengers and crew aboard. 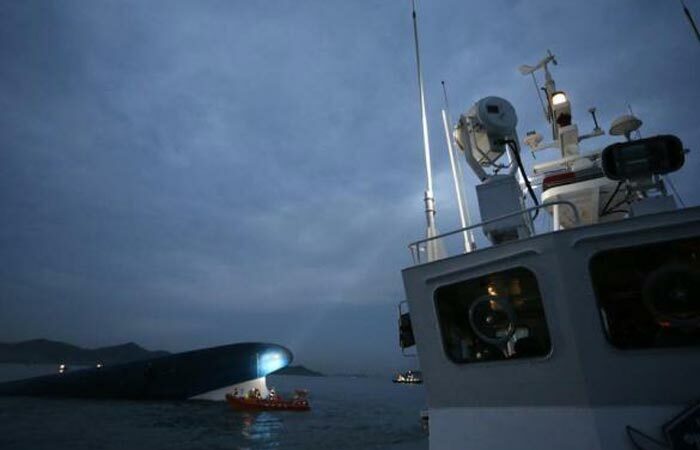 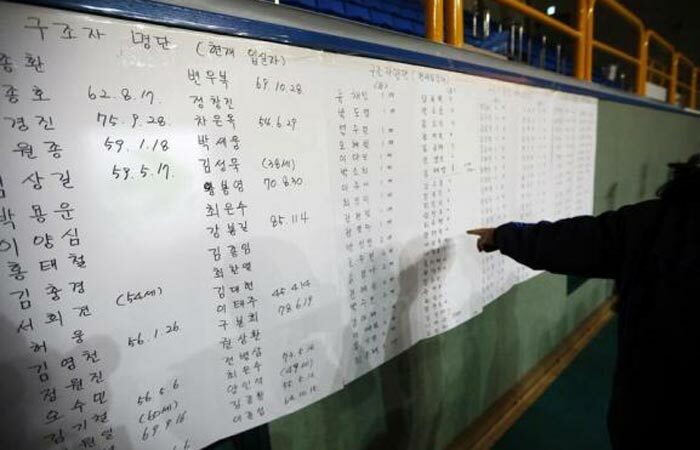 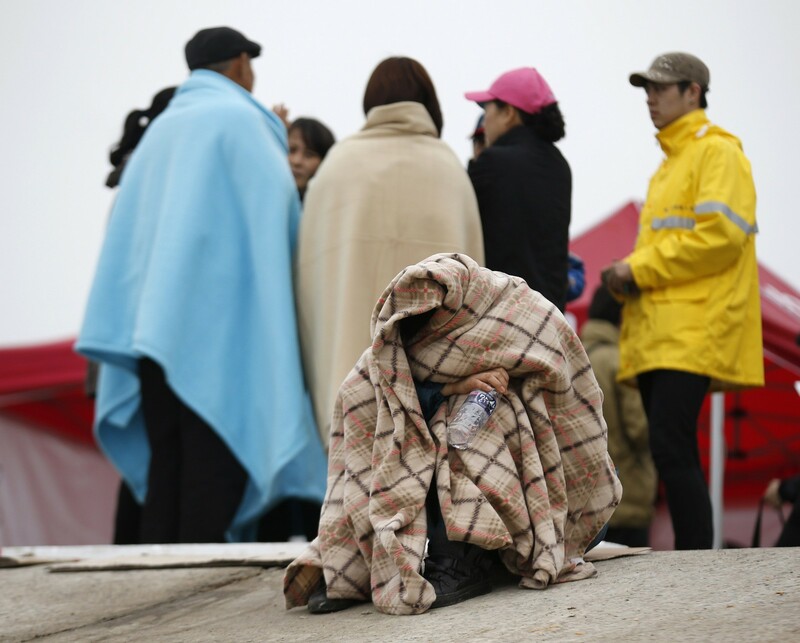 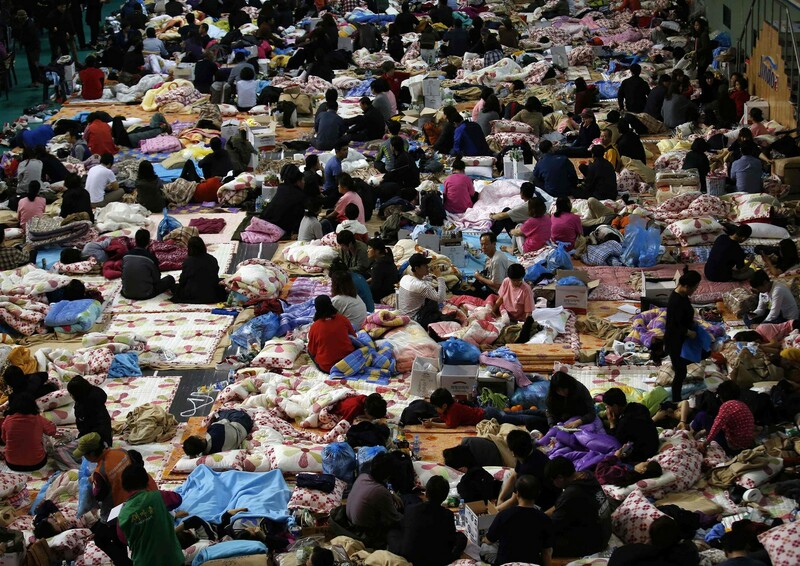 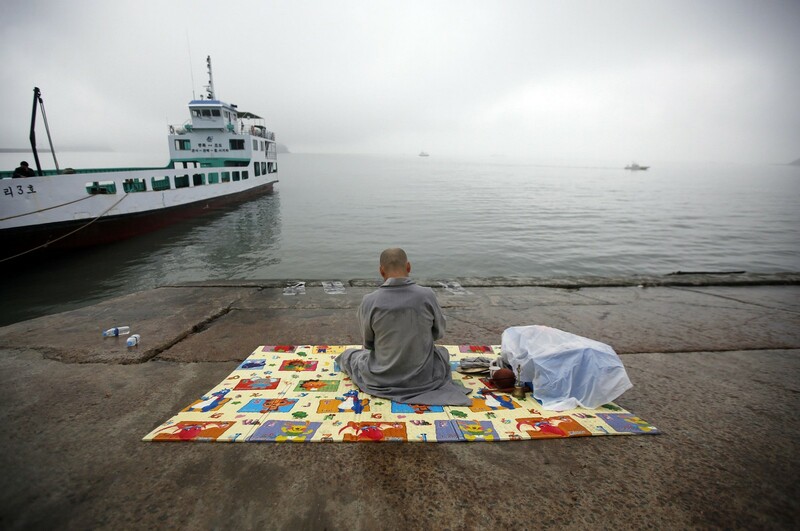 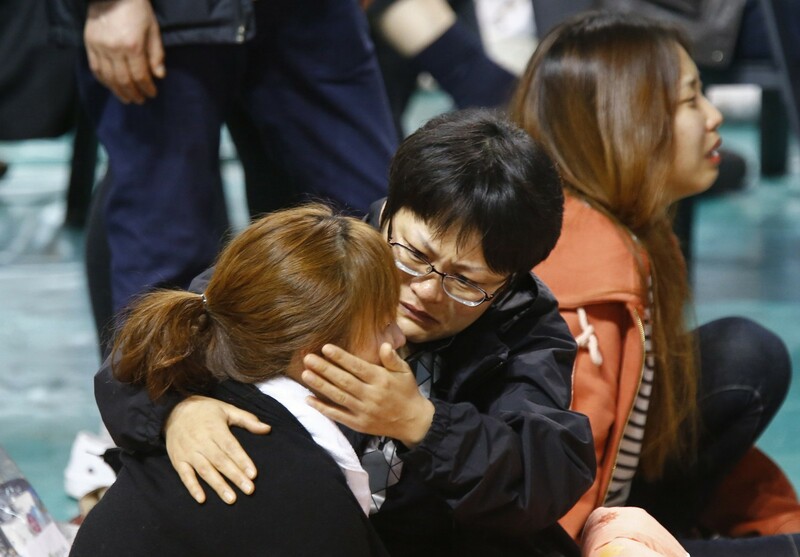 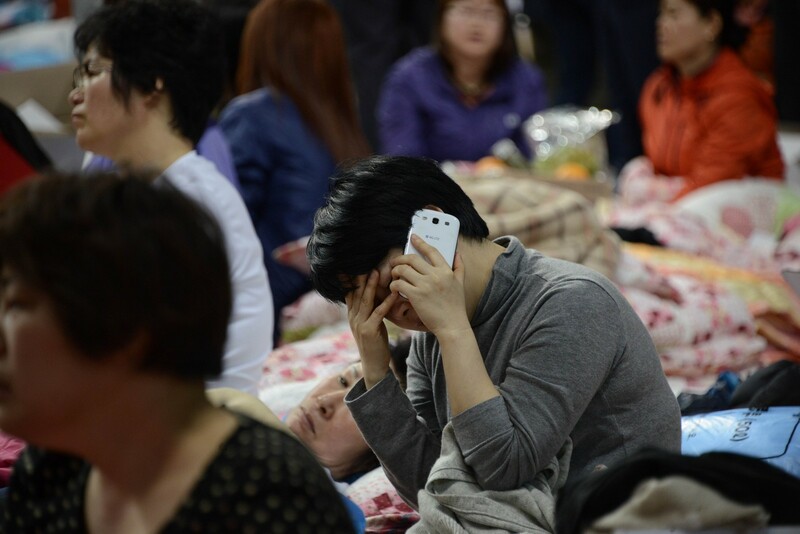 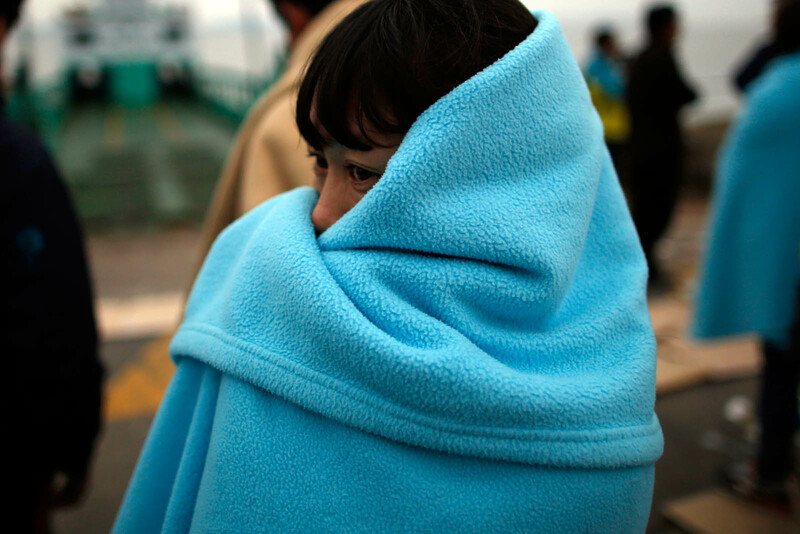 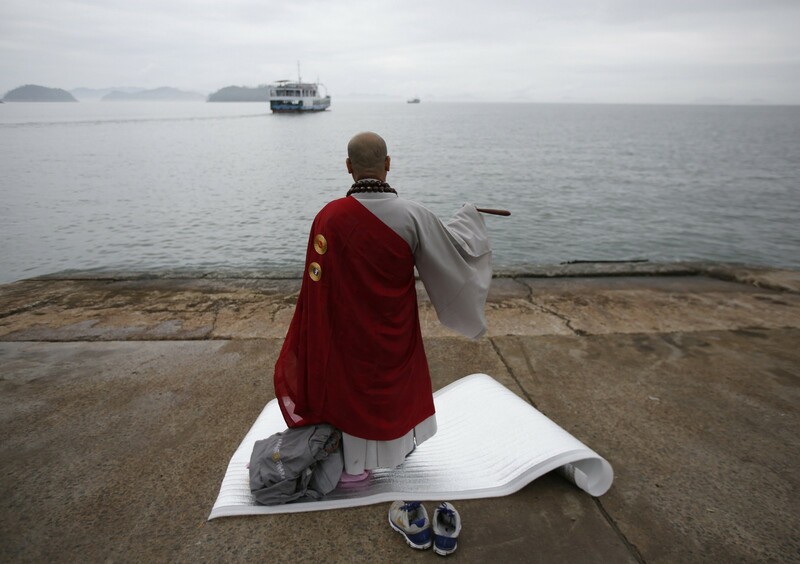 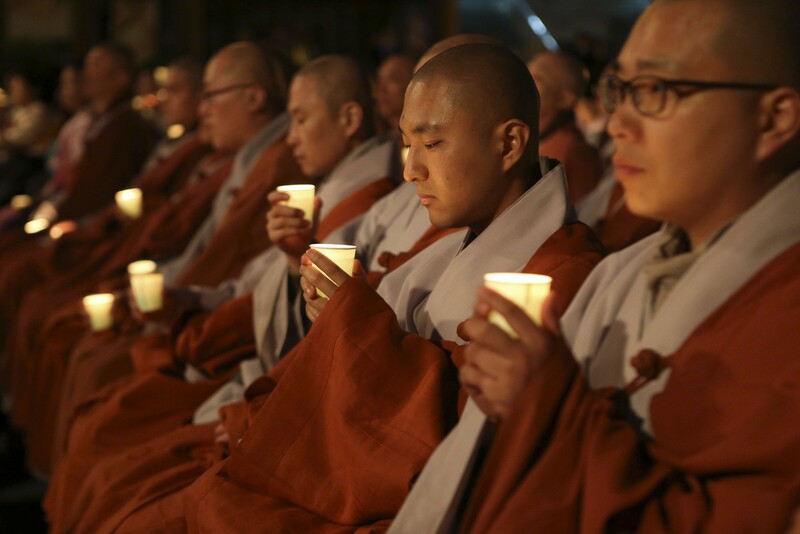 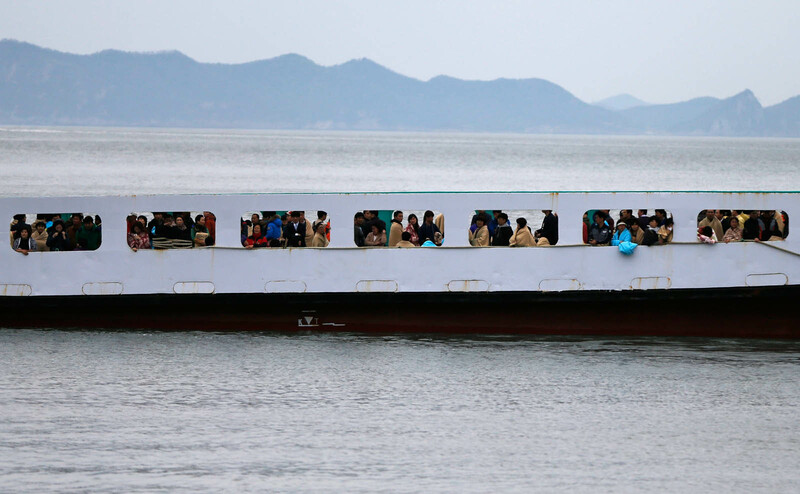 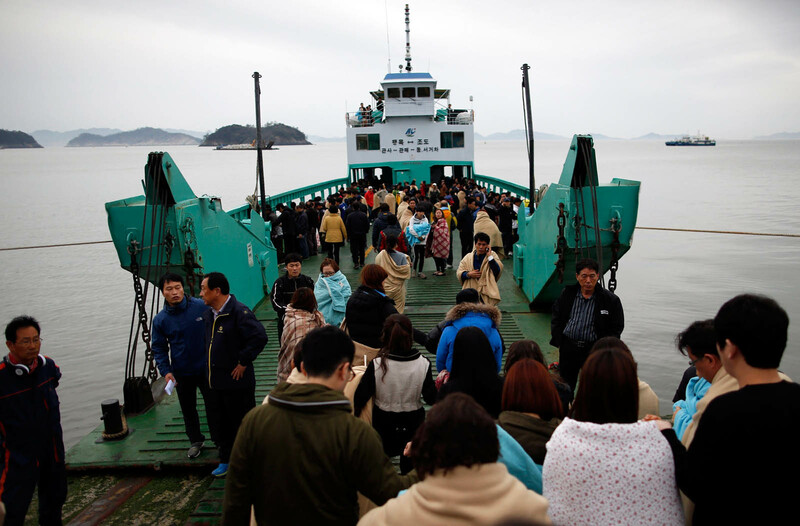 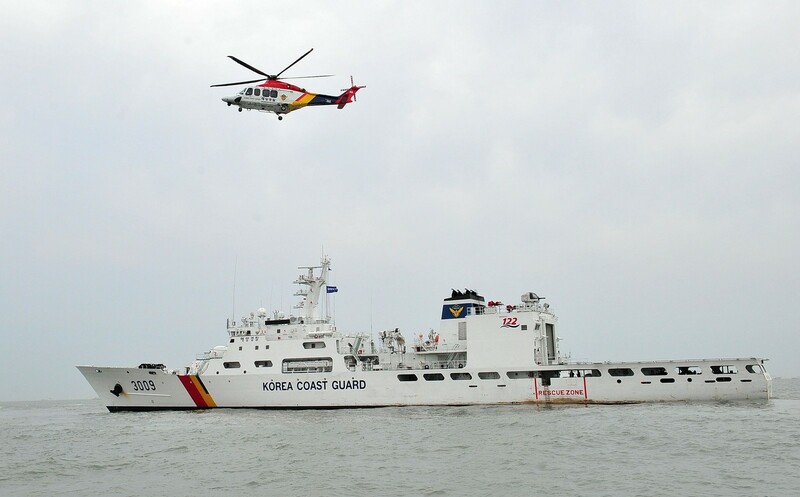 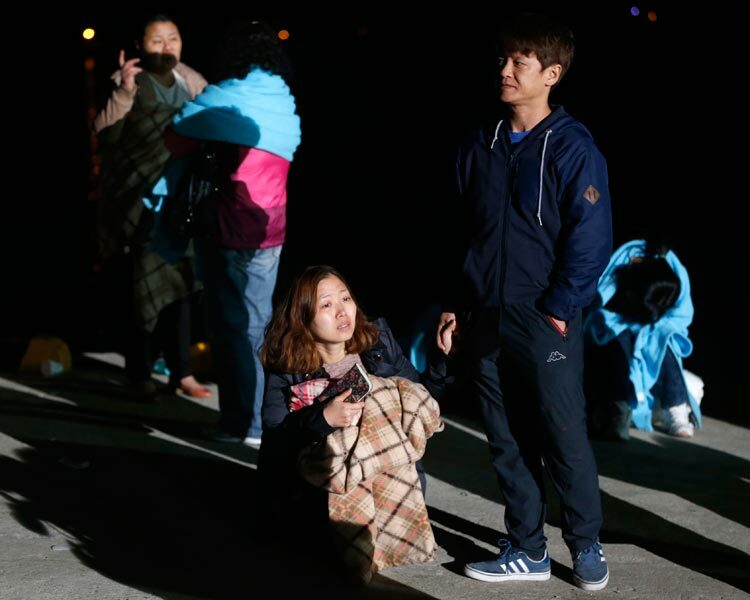 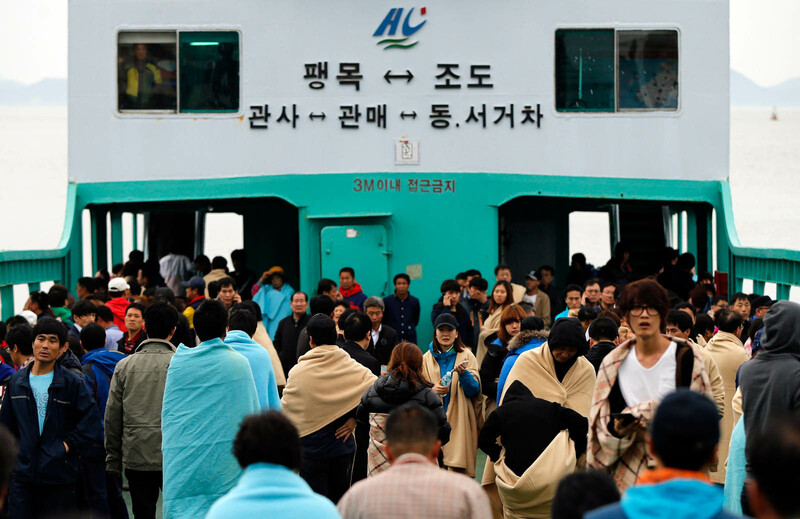 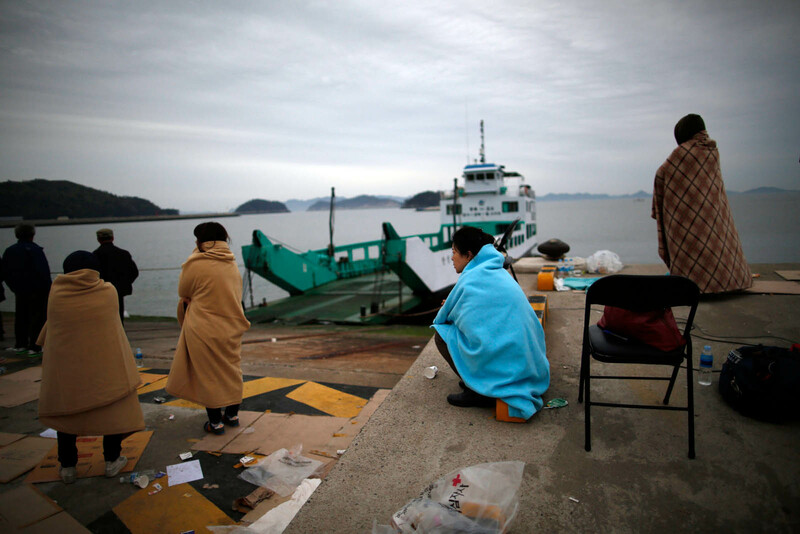 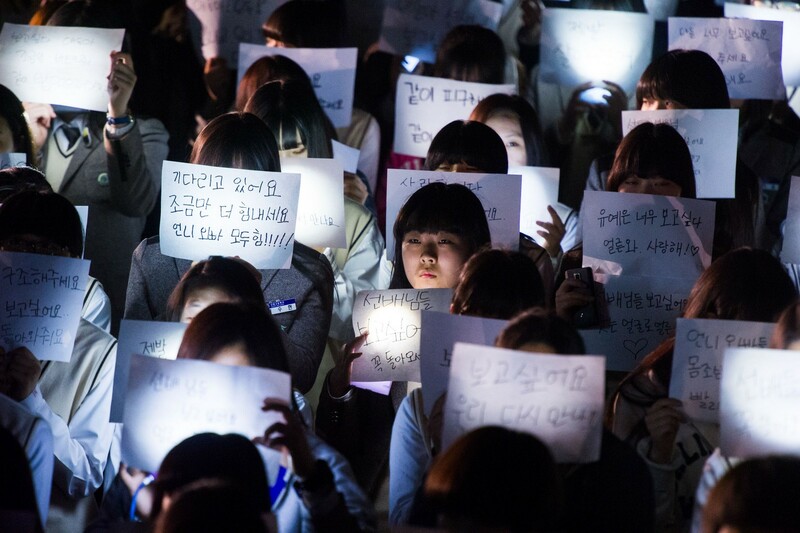 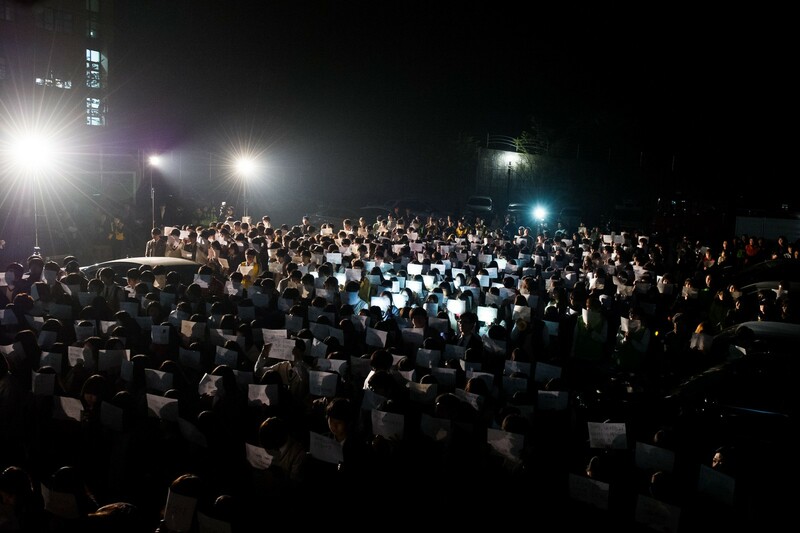 Late Monday, the investigators obtained about 30,000 Kakao Talk messages sent from 470 people aboard between the time of the ship's departure at 6:30 p.m. on April 15 and 10:30 a.m. the next day. 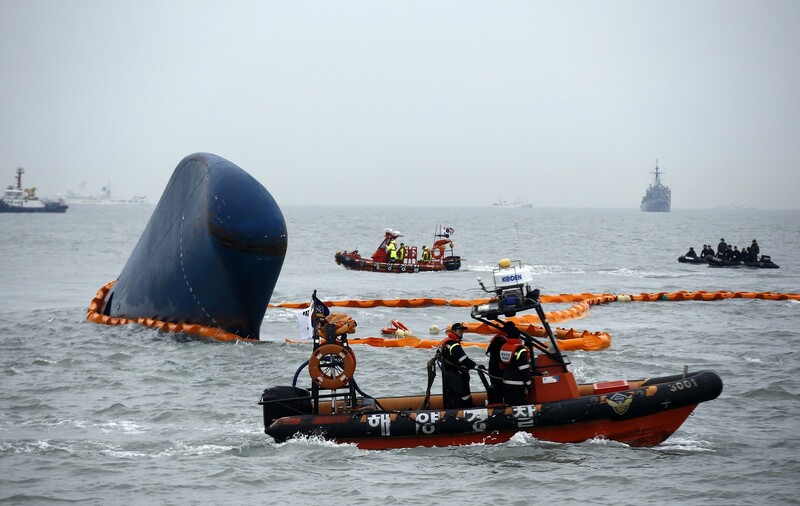 The officials said the data will be used to construct an exact timeline of events and find out what happened during the critical moment. 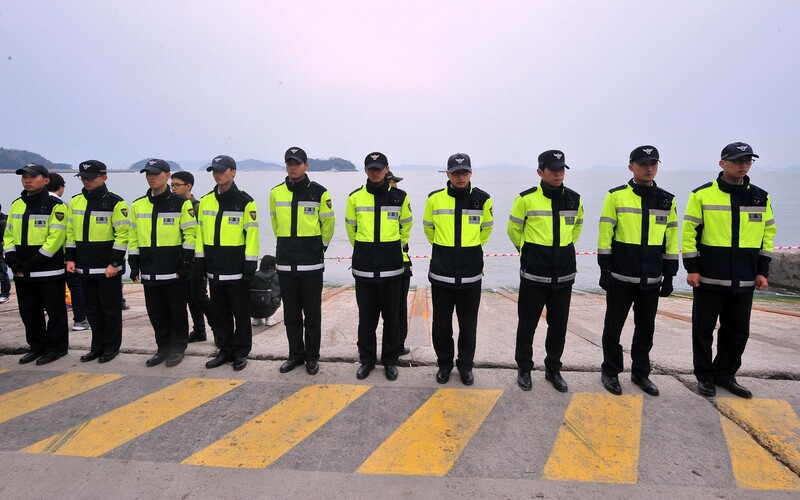 If found guilty of the charges, the crew members could be sentenced to three to 30 years in prison under the current law. 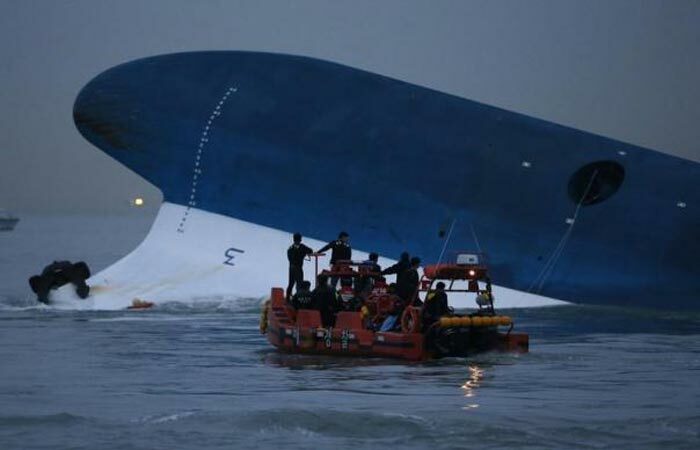 Heavier punishment, from five years to life in prison, is expected for the captain, who faces a range of charges including negligence and abandoning his ship.